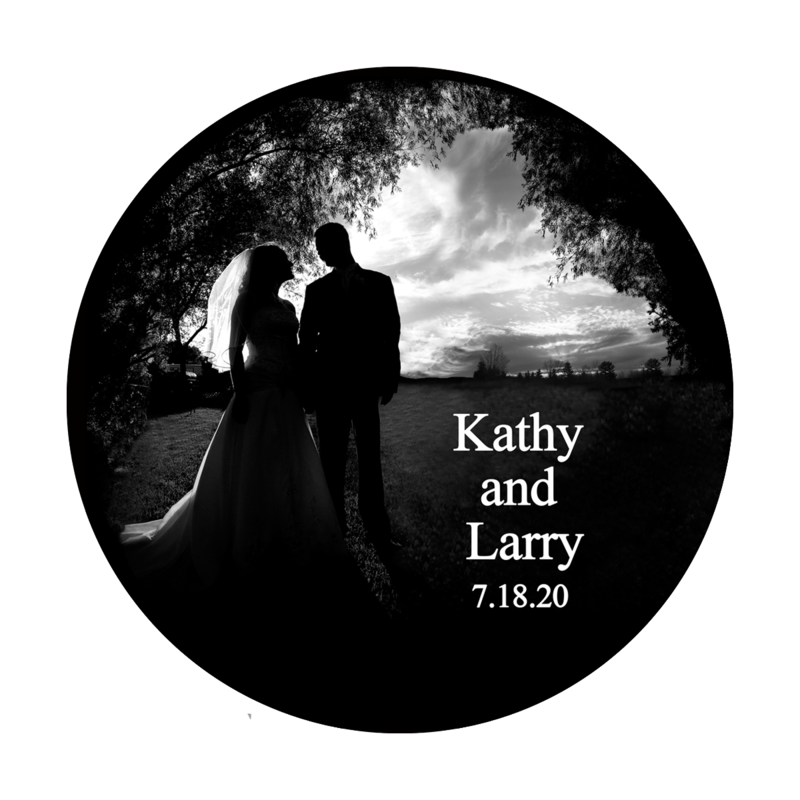 Lighting can completely transform your venue from ordinary to spectacular. 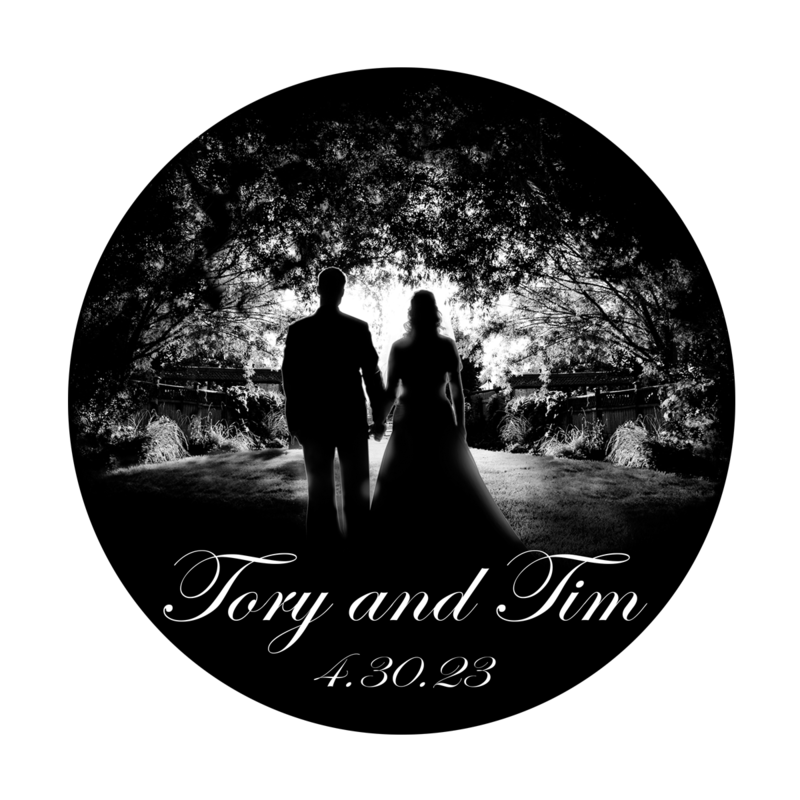 Lighting has a powerful impact on the overall feel of your wedding and the mood of your guests. 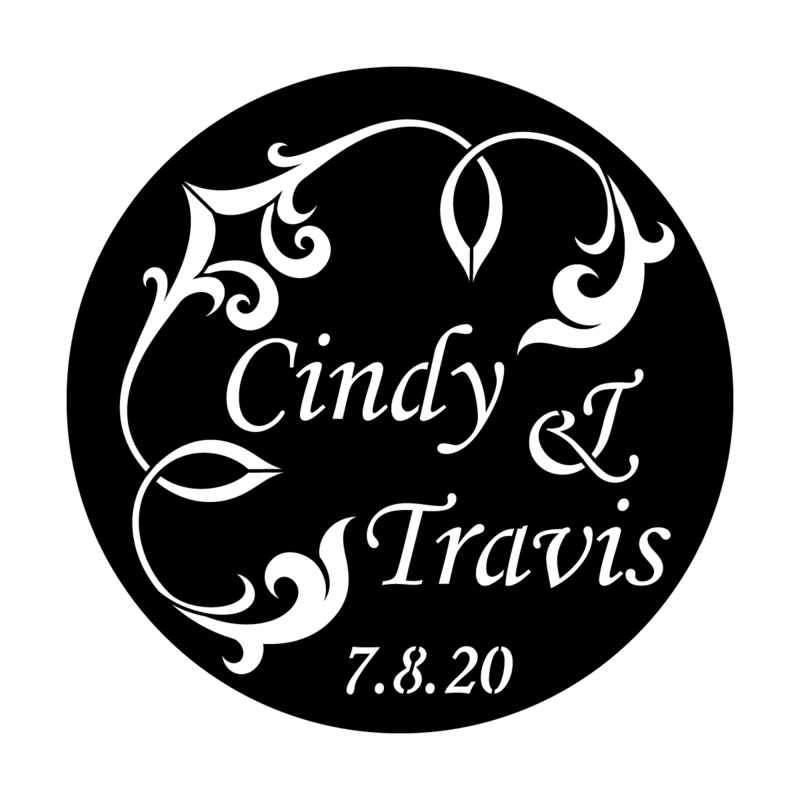 Make the entire venue a canvas that reflects your décor. 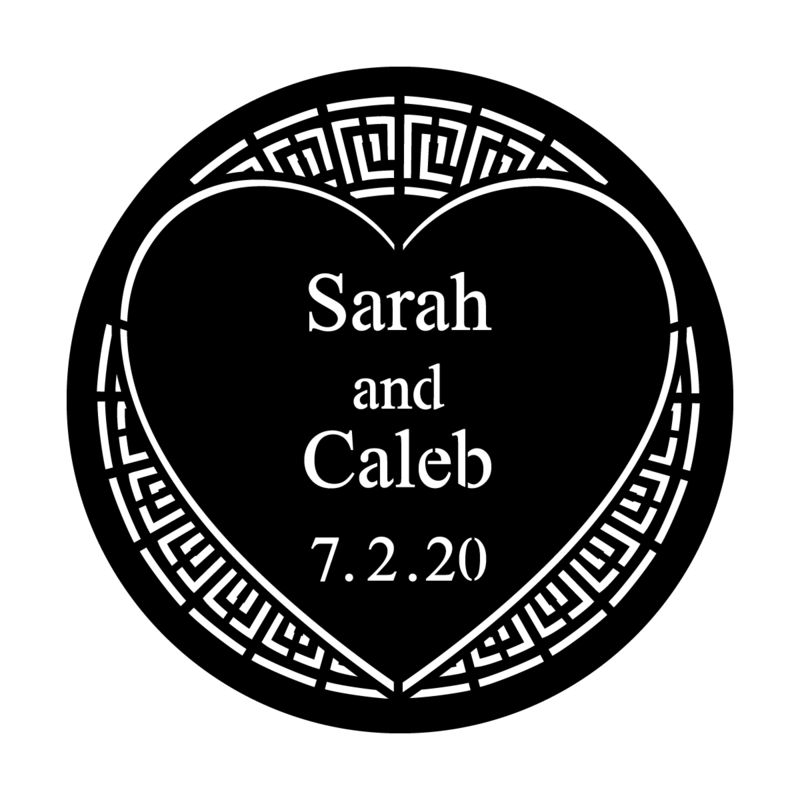 Project patterns and color on the wall, floor and/or ceiling with our standard patterns from our Wedding Collection and gels or create a custom gobo and make certain areas of the room focal points. 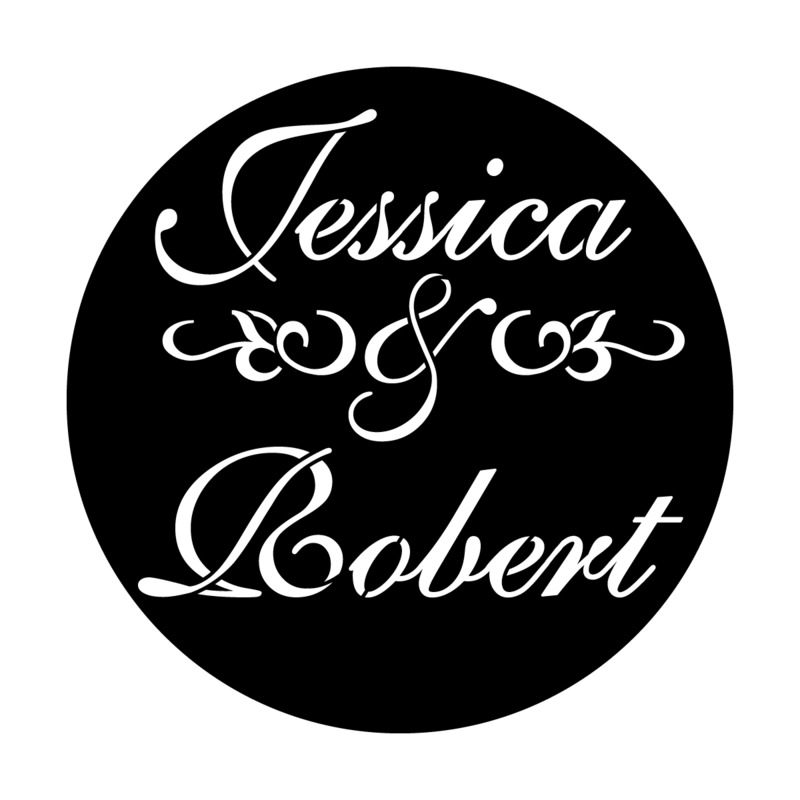 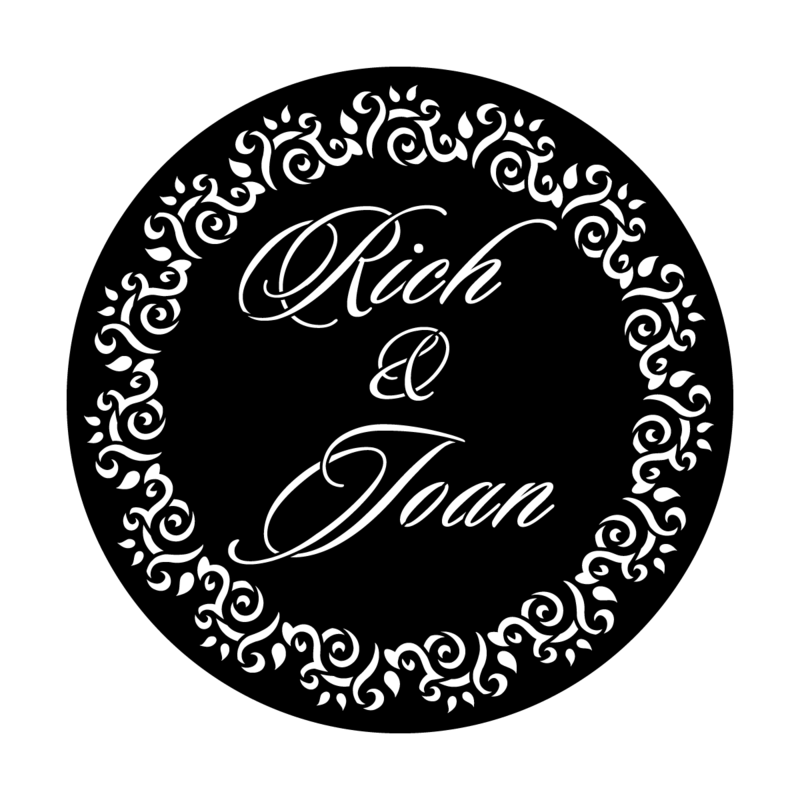 A custom gobo that projects your name or monogram on the dance floor or the wall behind the head table creates an impressive effect that will look amazing in your wedding photos. 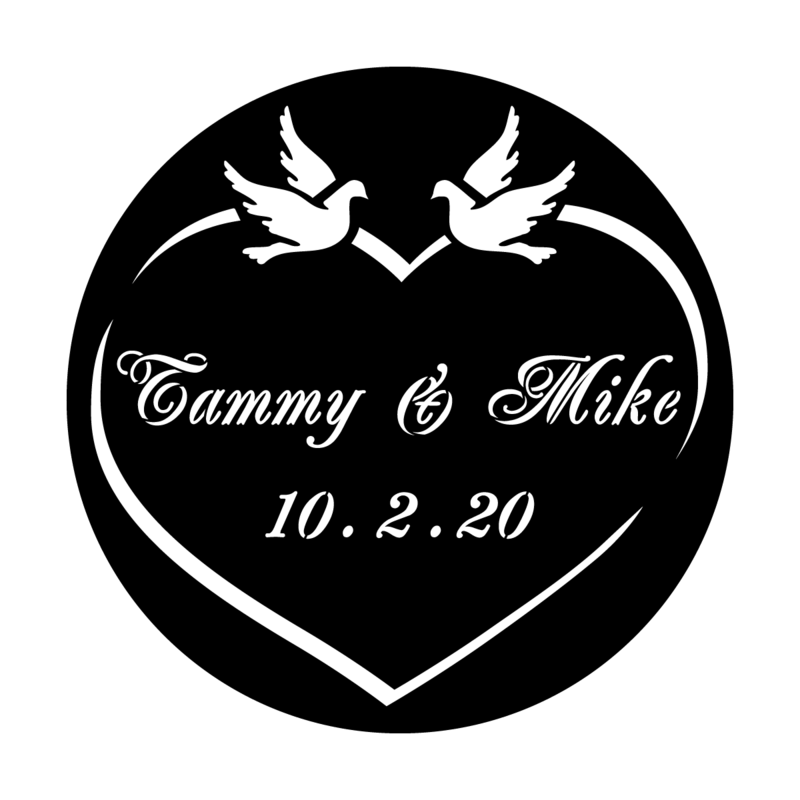 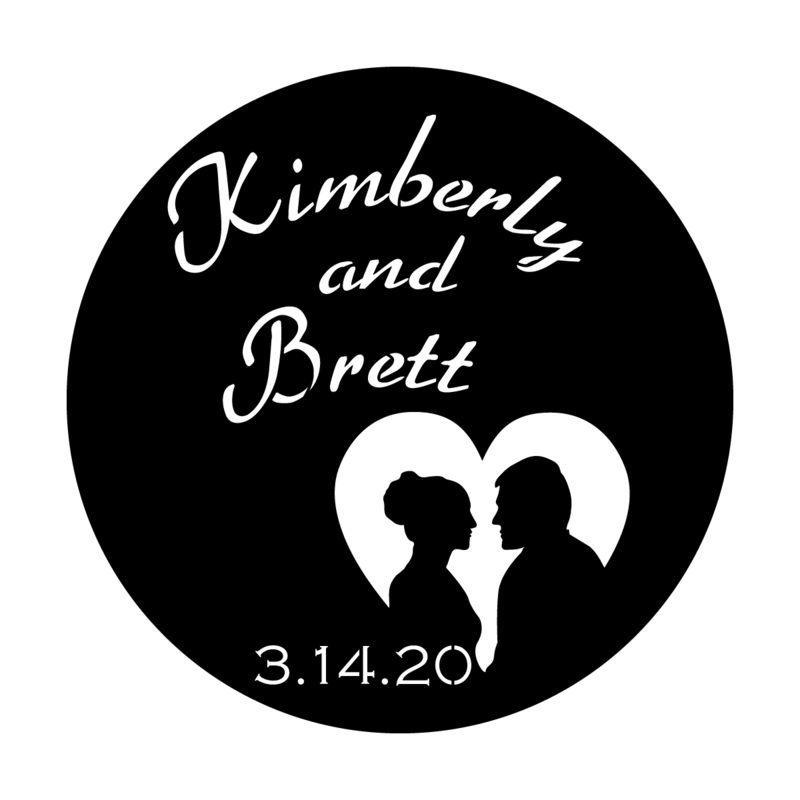 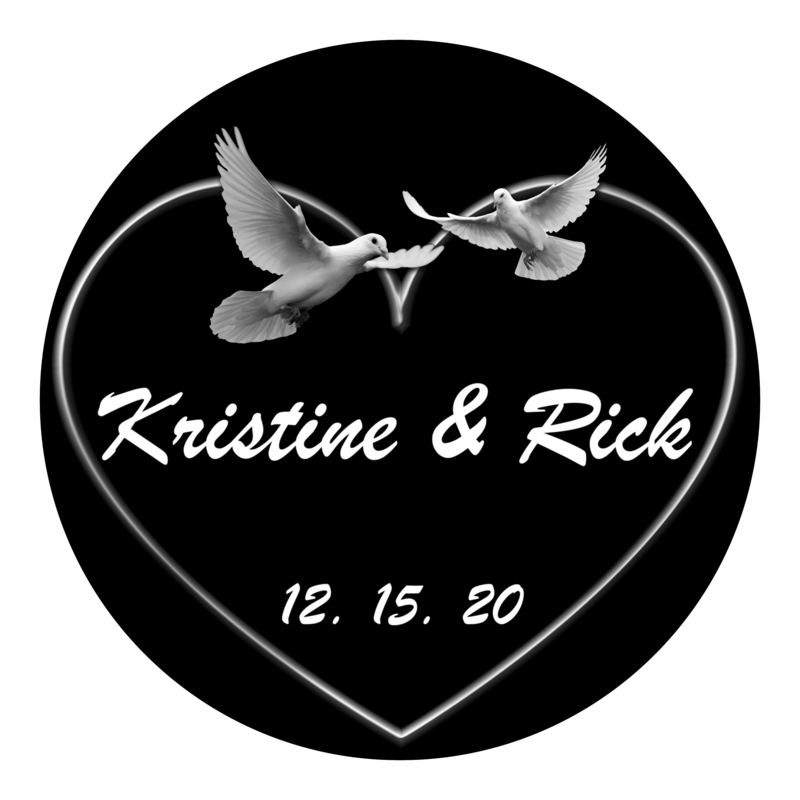 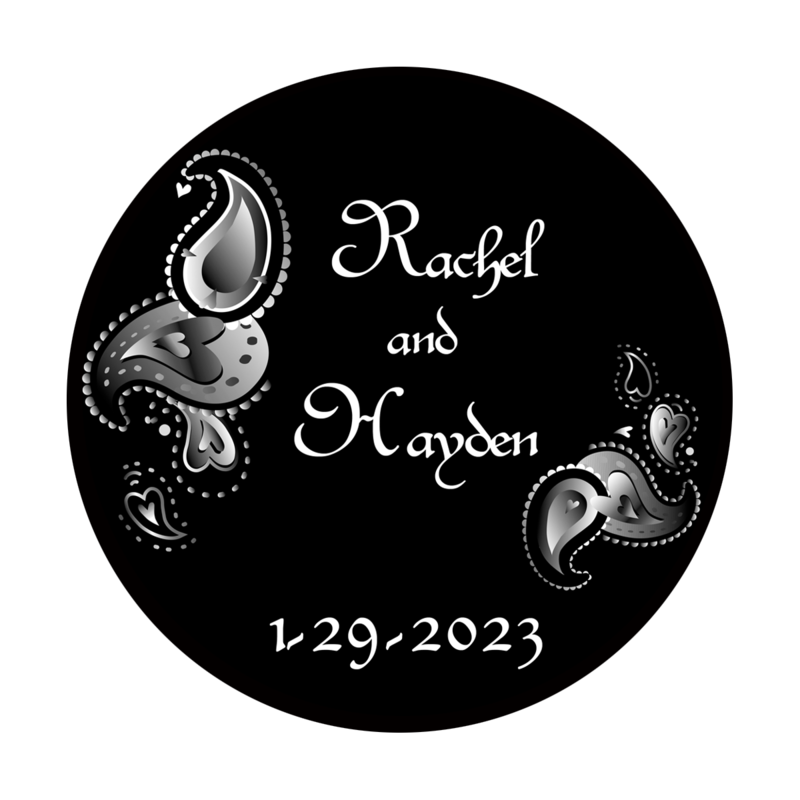 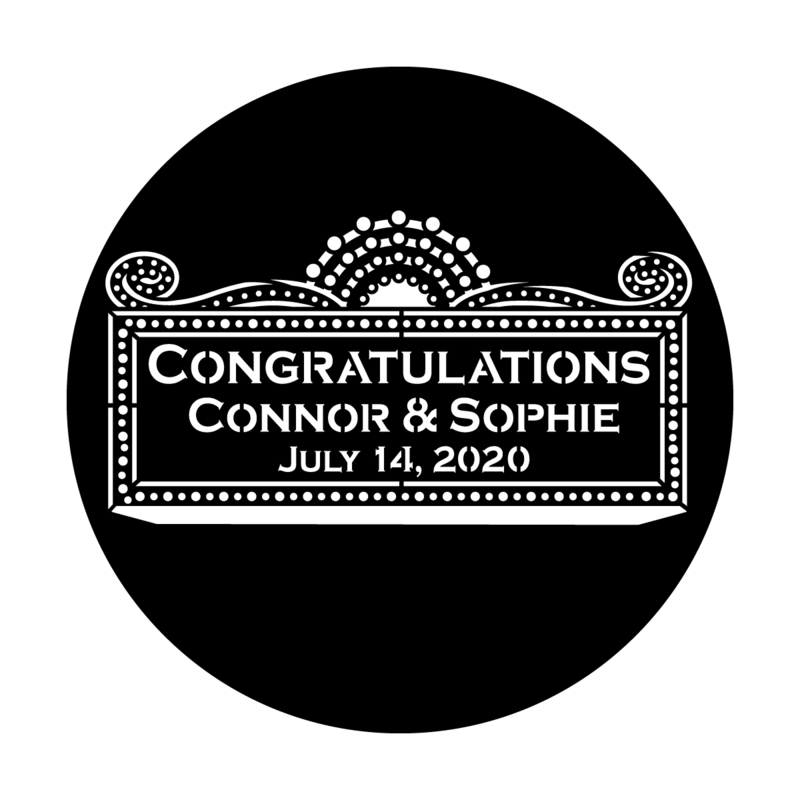 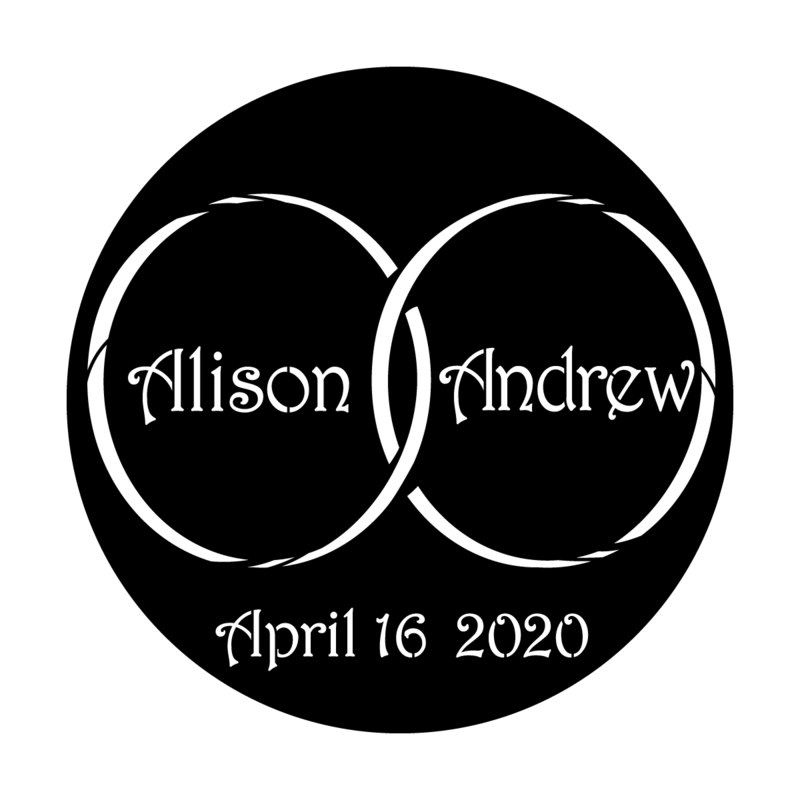 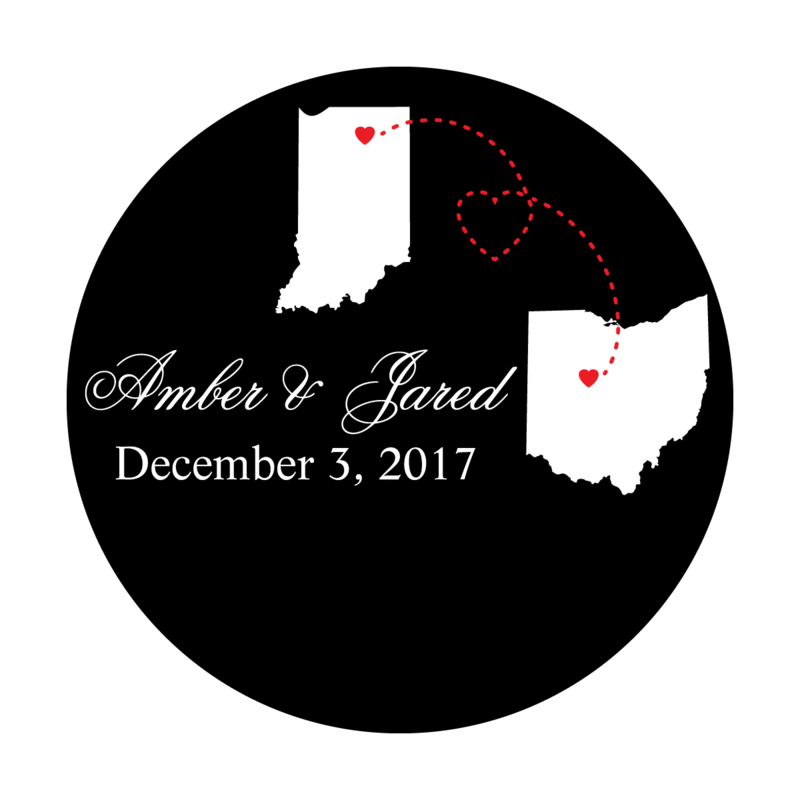 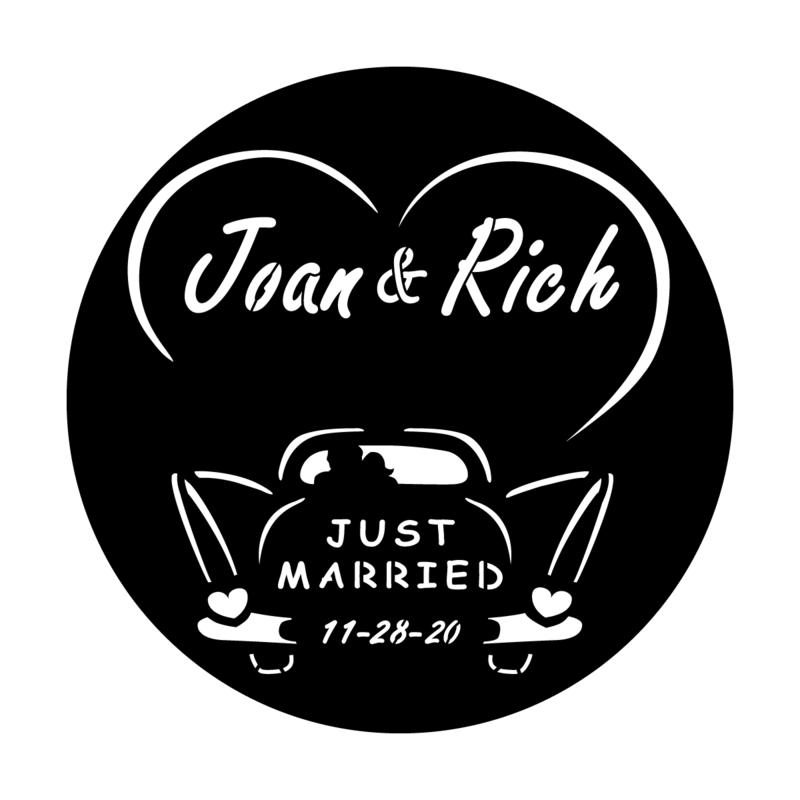 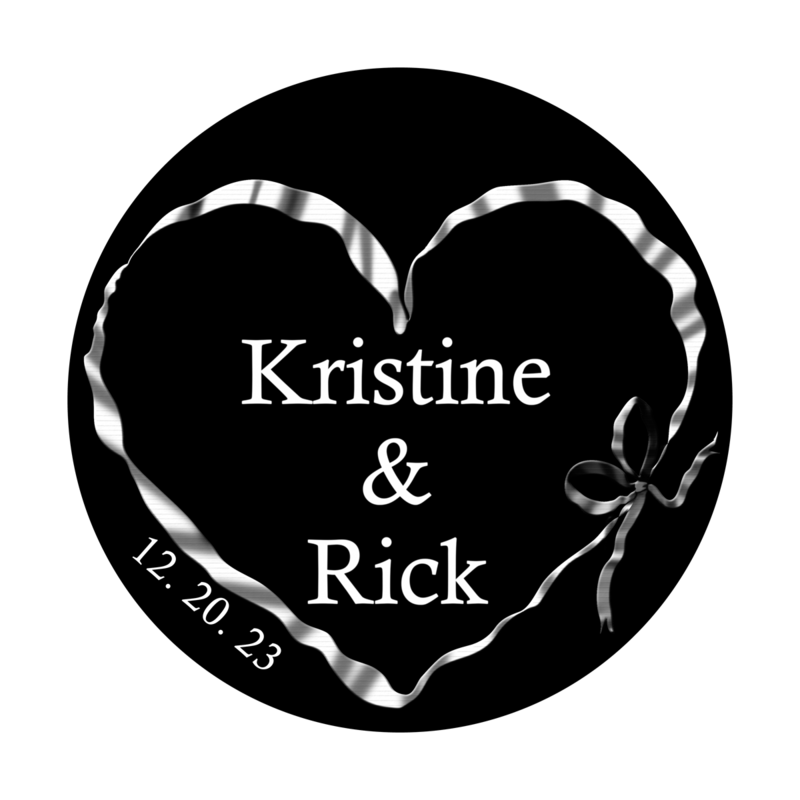 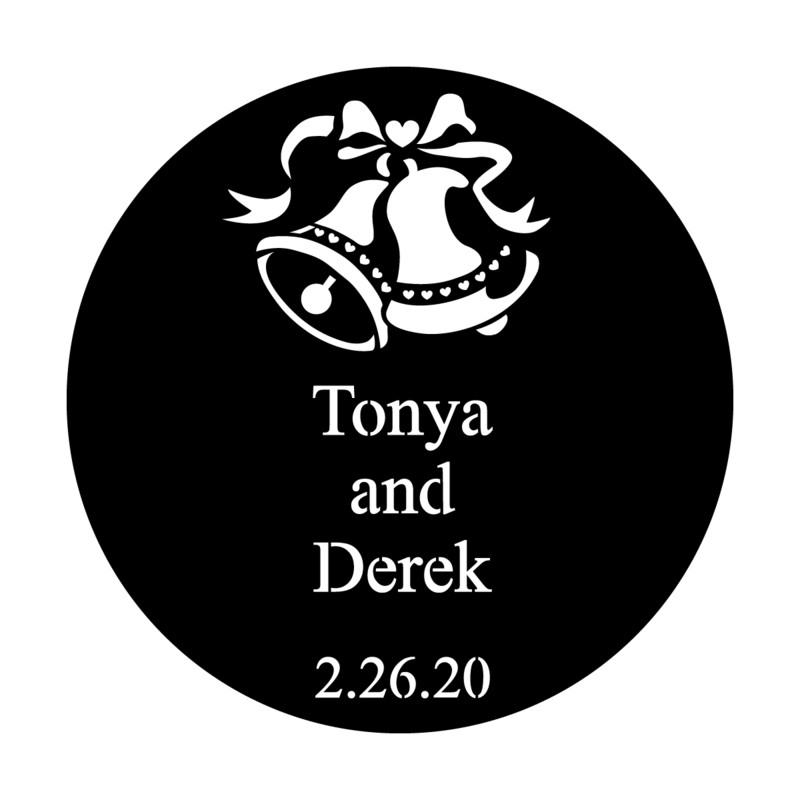 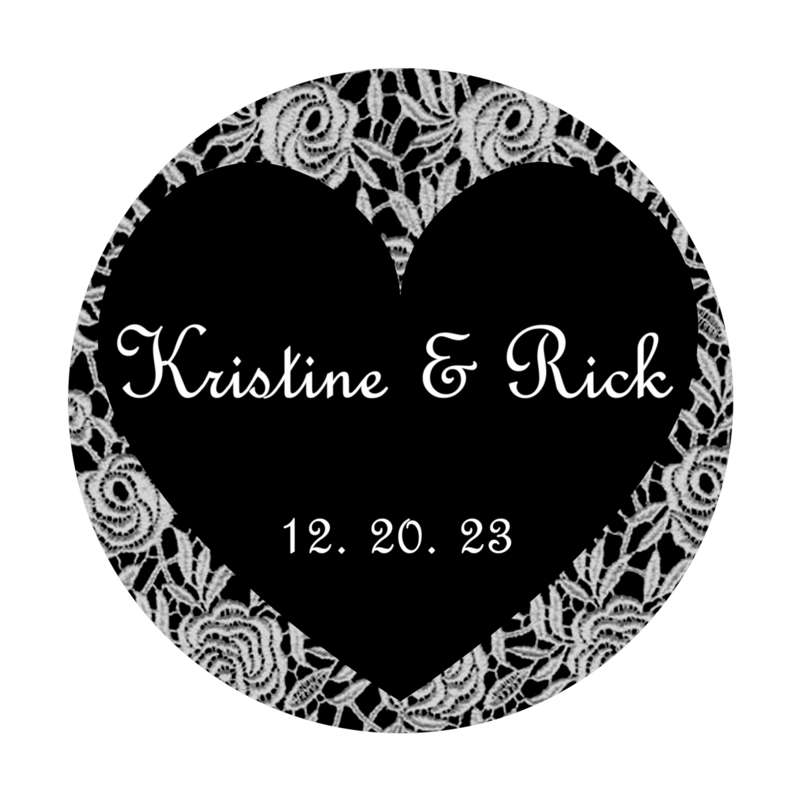 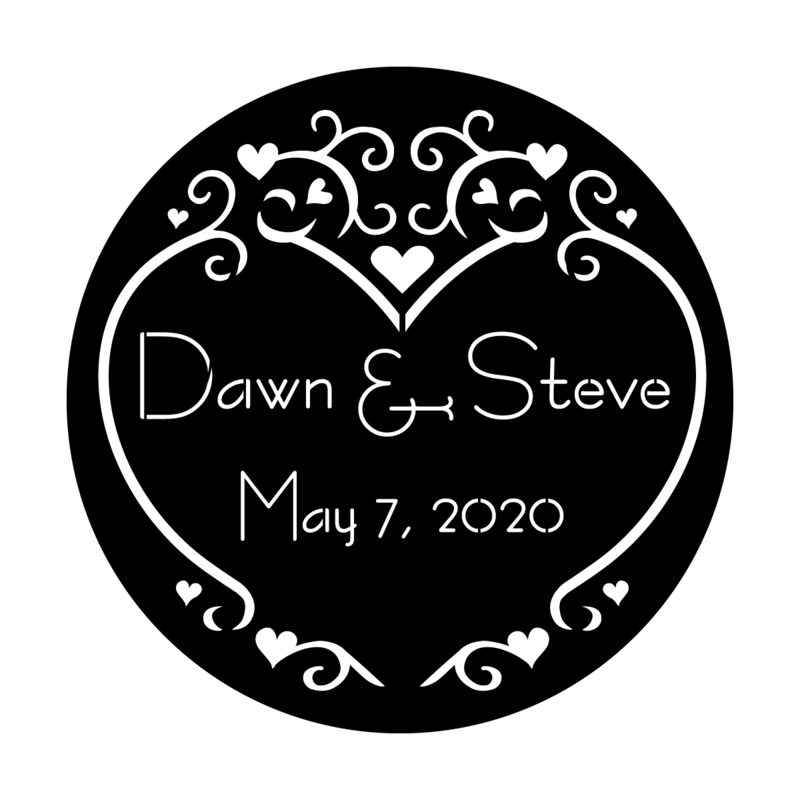 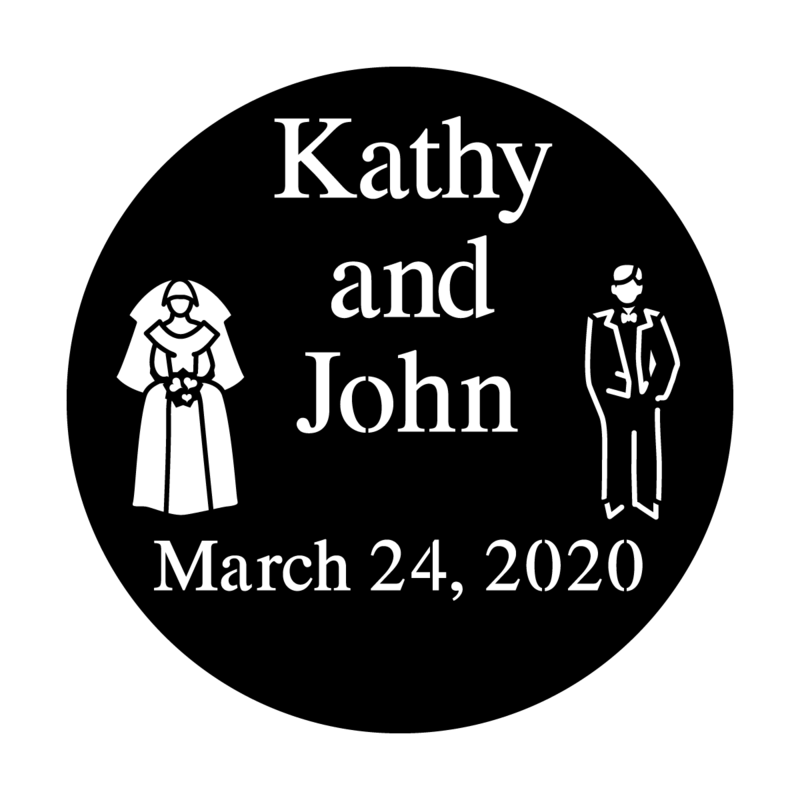 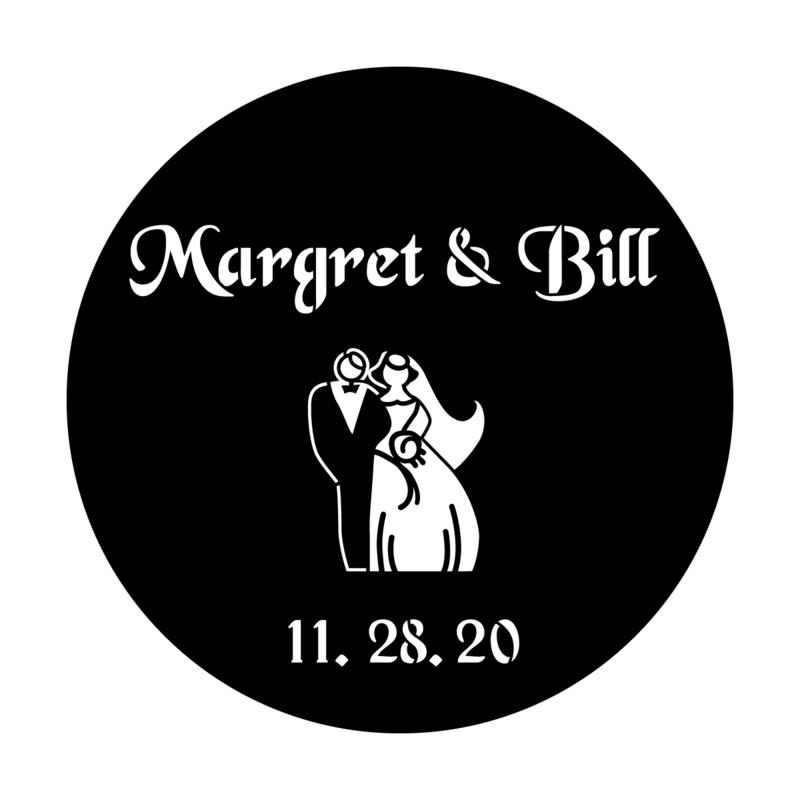 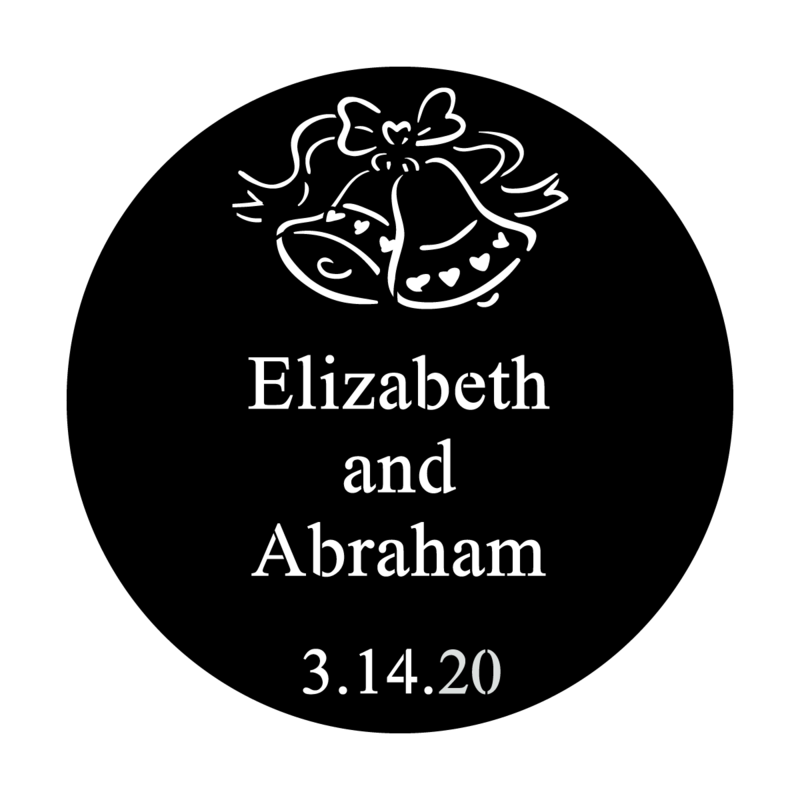 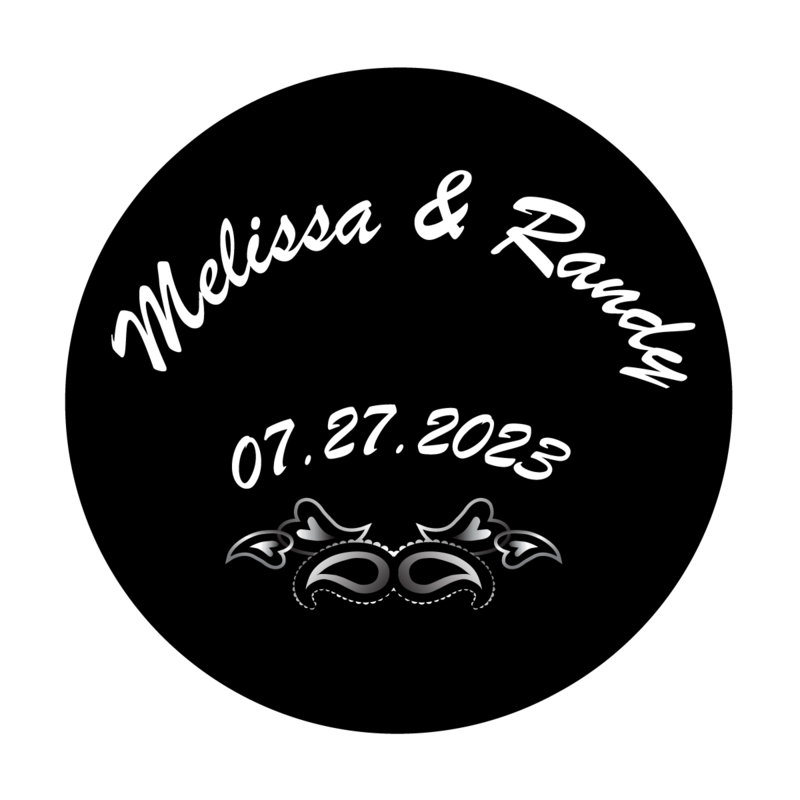 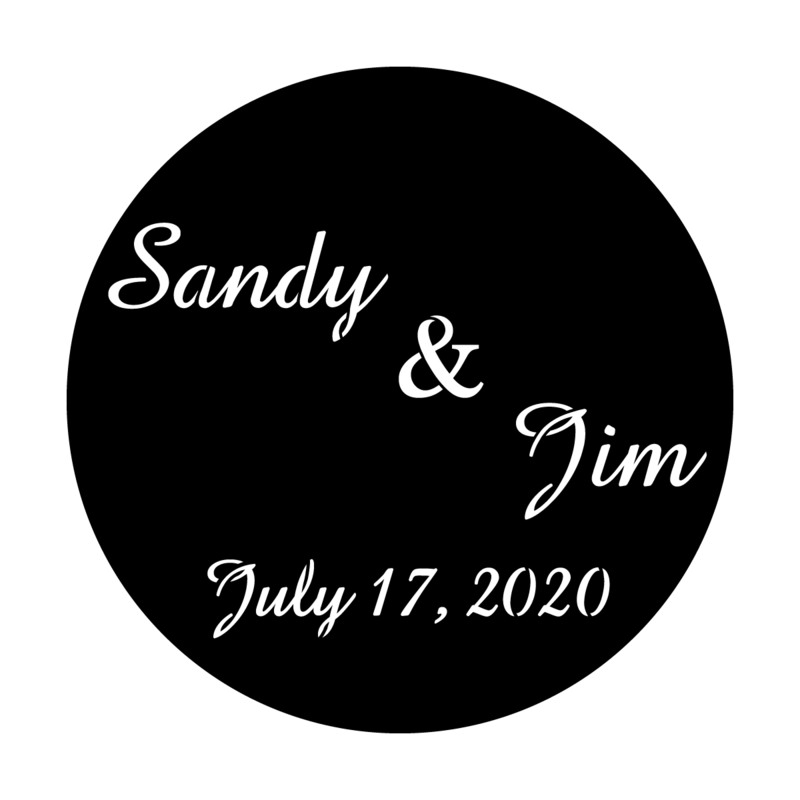 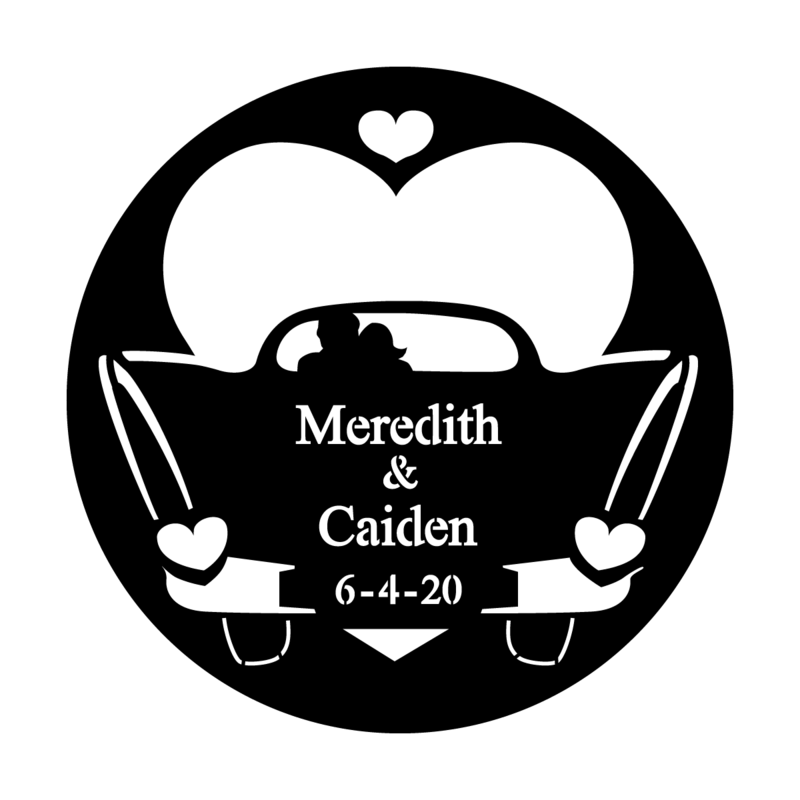 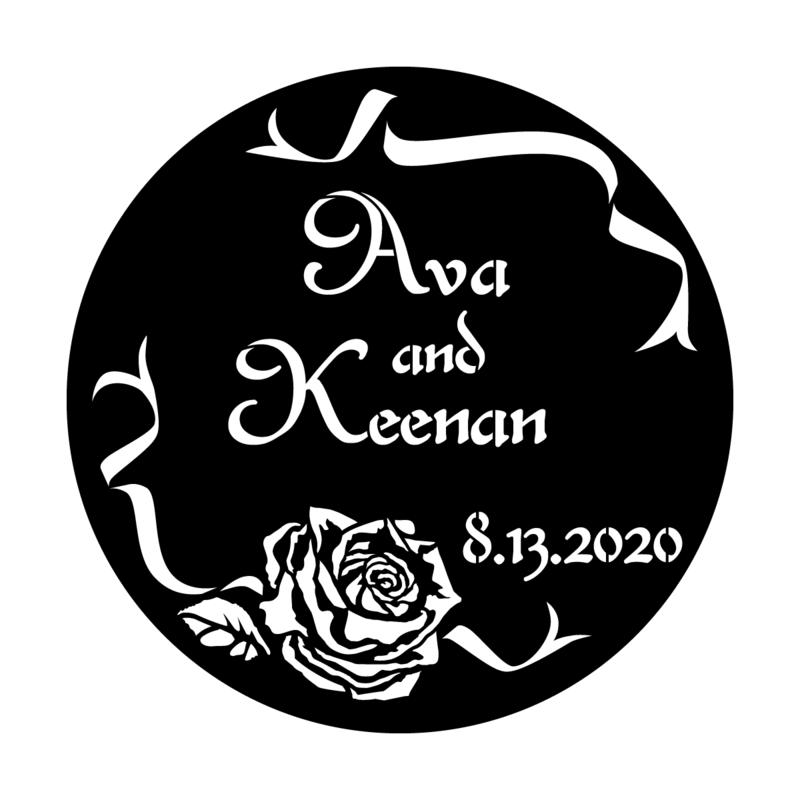 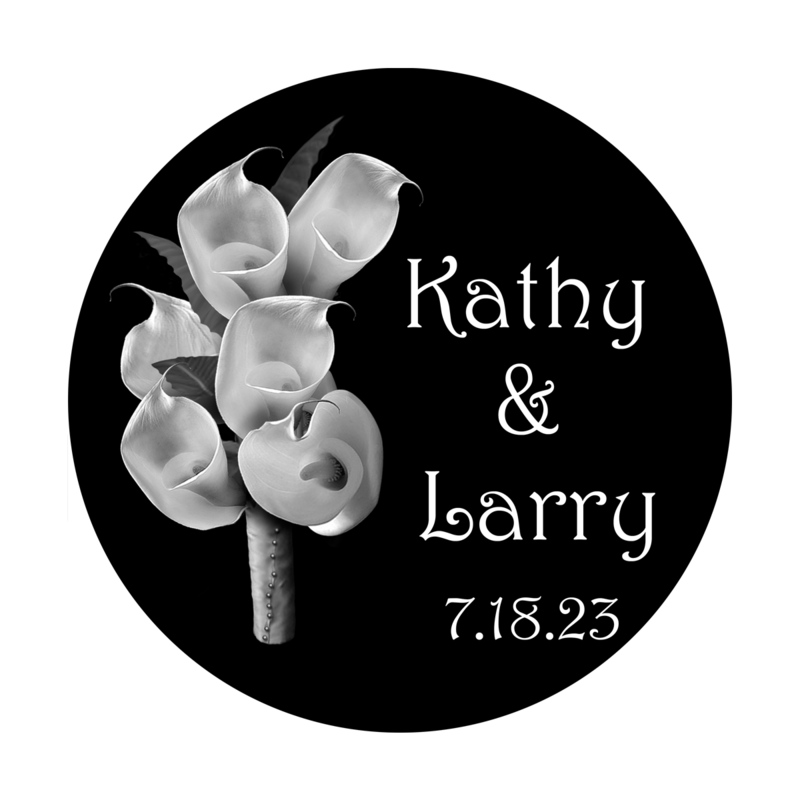 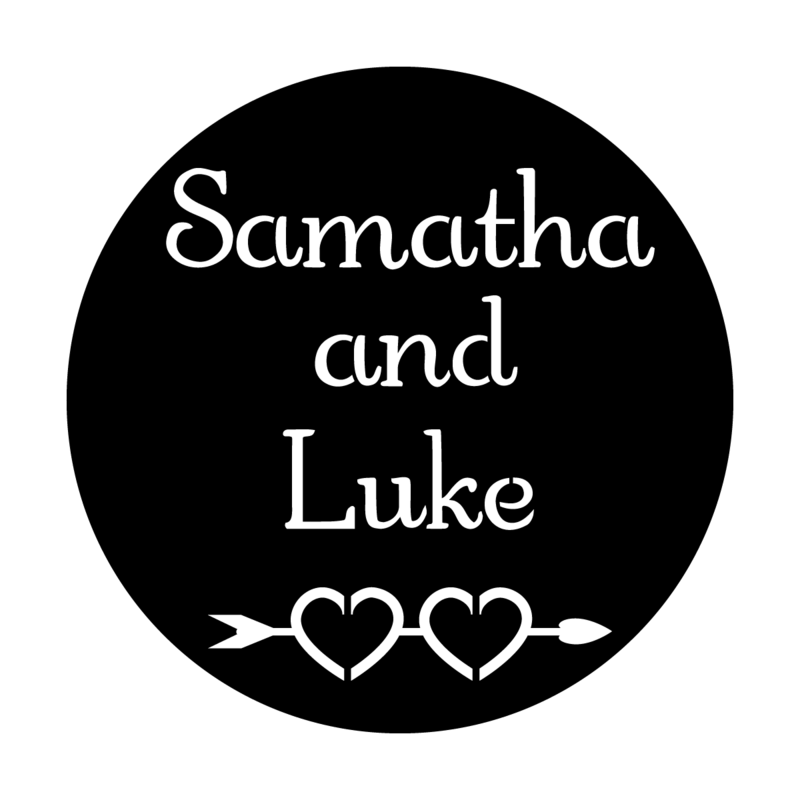 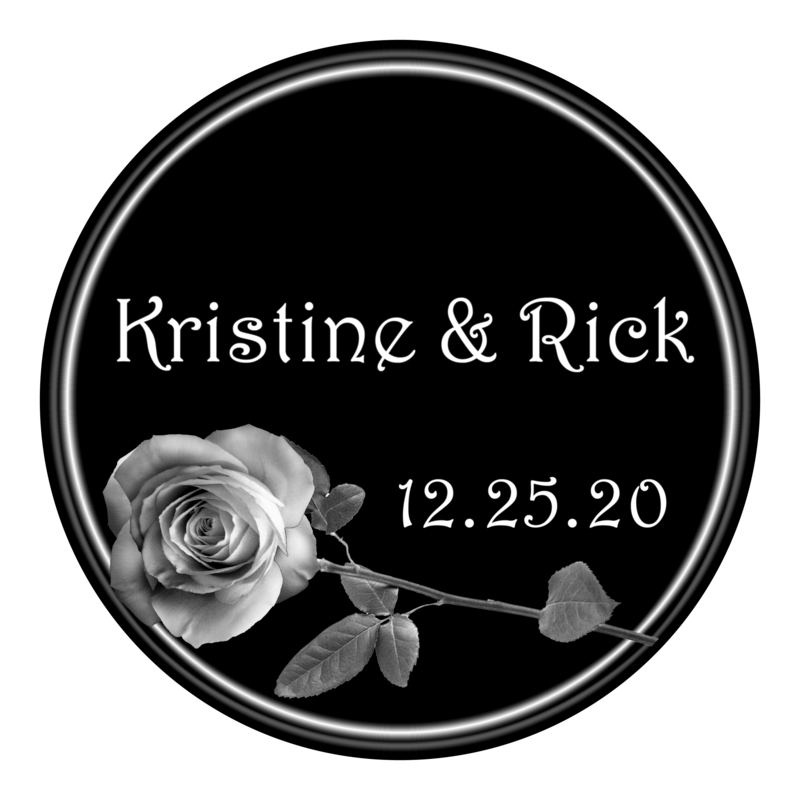 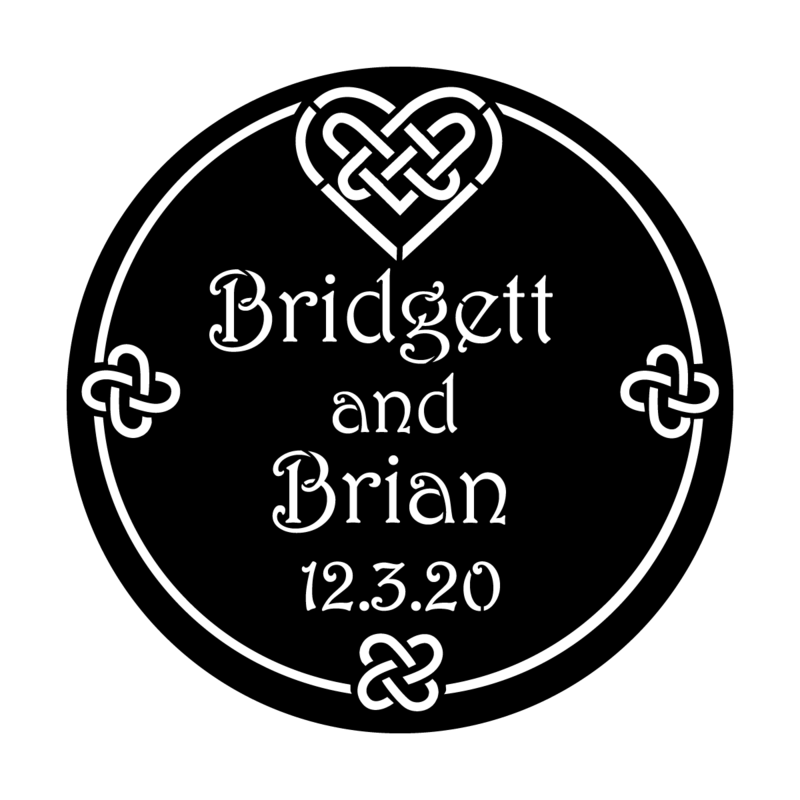 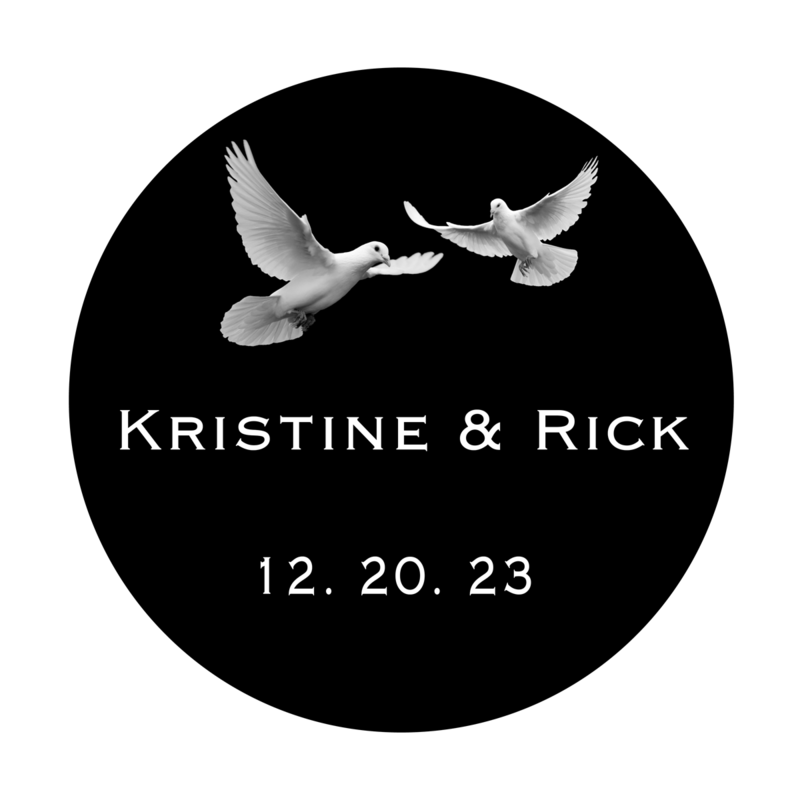 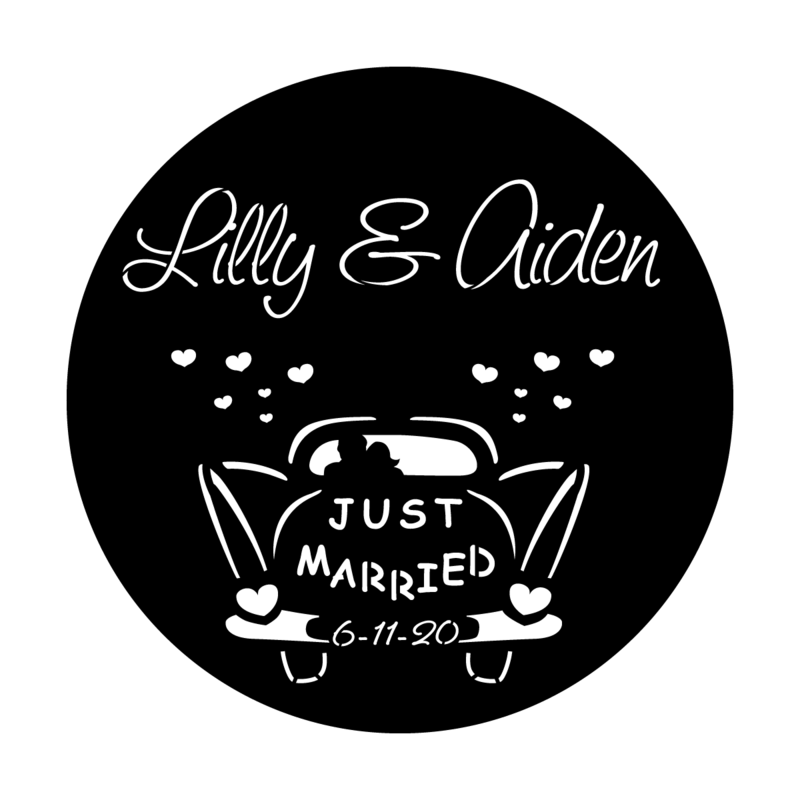 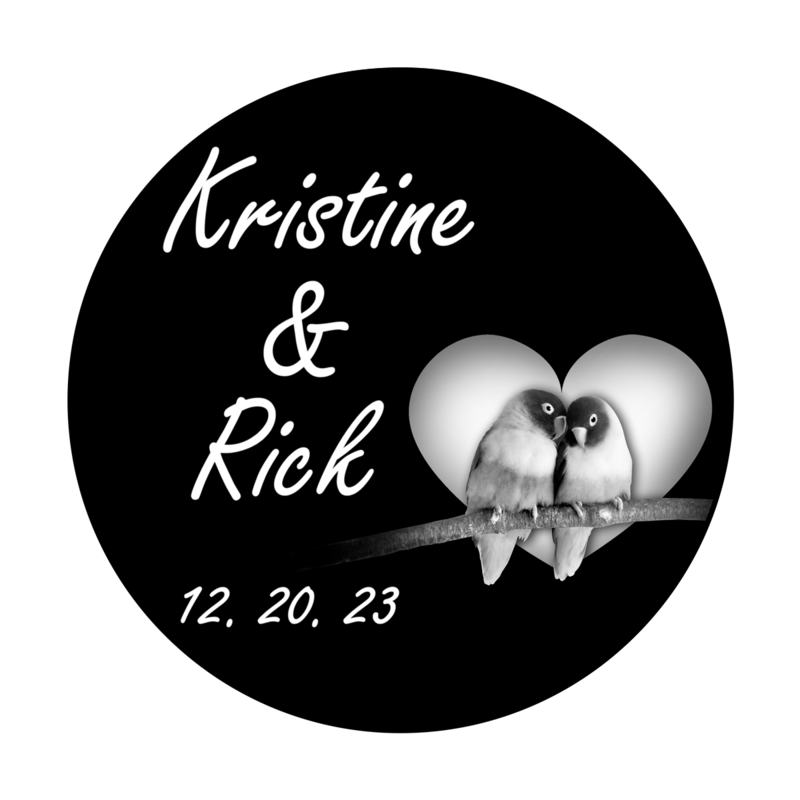 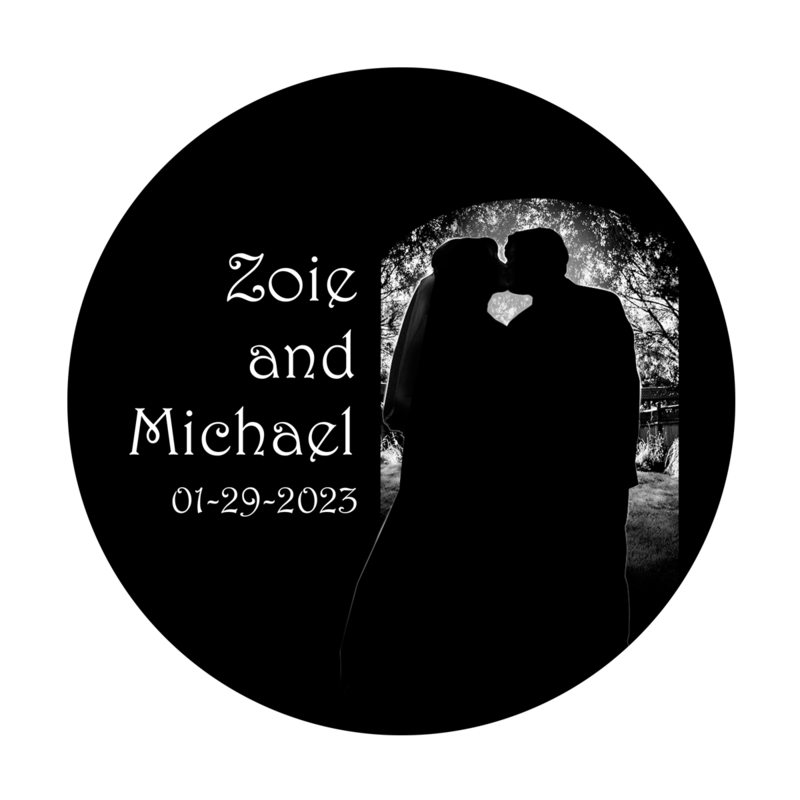 To create a custom gobo, choose a Design and Font from our templates below or we can create a one-of-a-kind gobo using your engagement photo, invitation, or your own artwork. 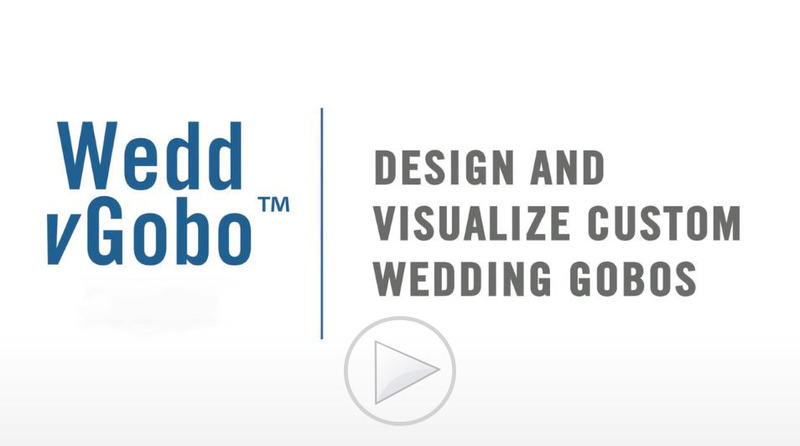 Gobos are a cost effective way to transform your wedding venue and wow your guests. 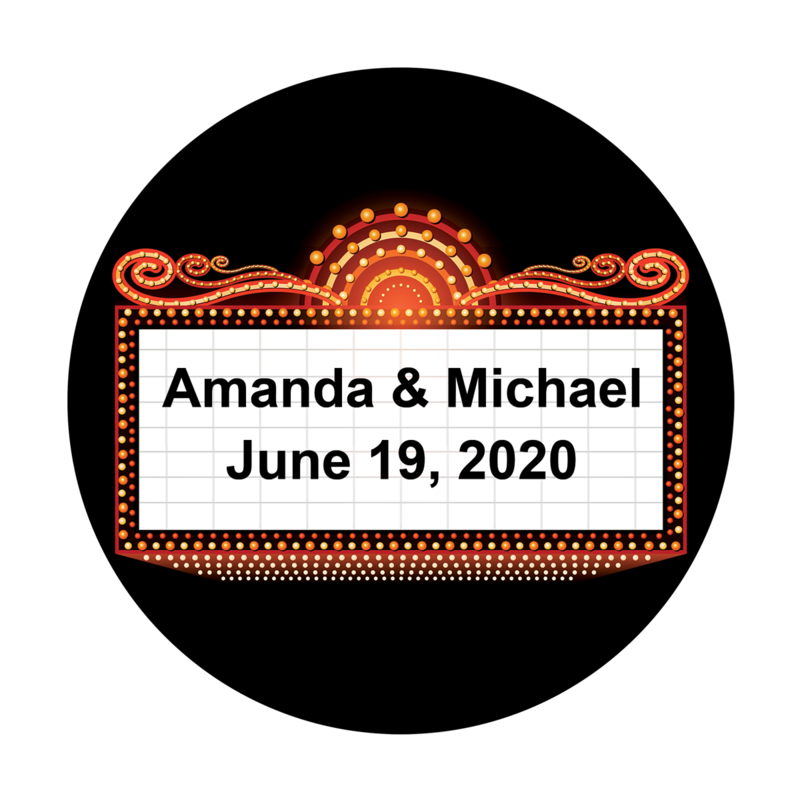 Put your name in lights with a custom gobo from Apollo. The following video walks you through how to use our Wedd vGobo™ iOS app to make the perfect custom wedding gobo using our templates. 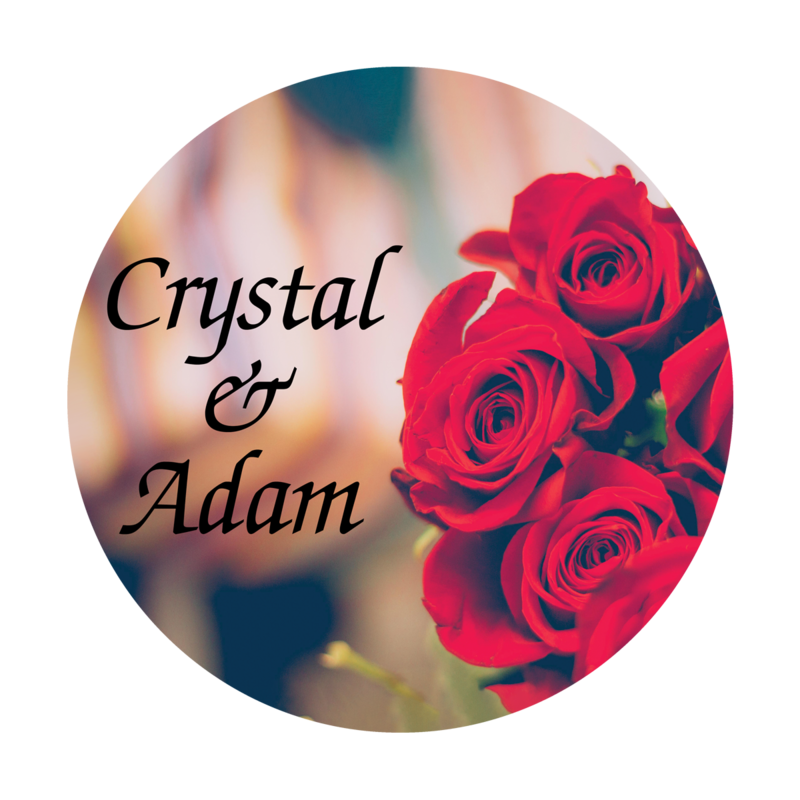 The App can be found online at the Apple iTunes store here. 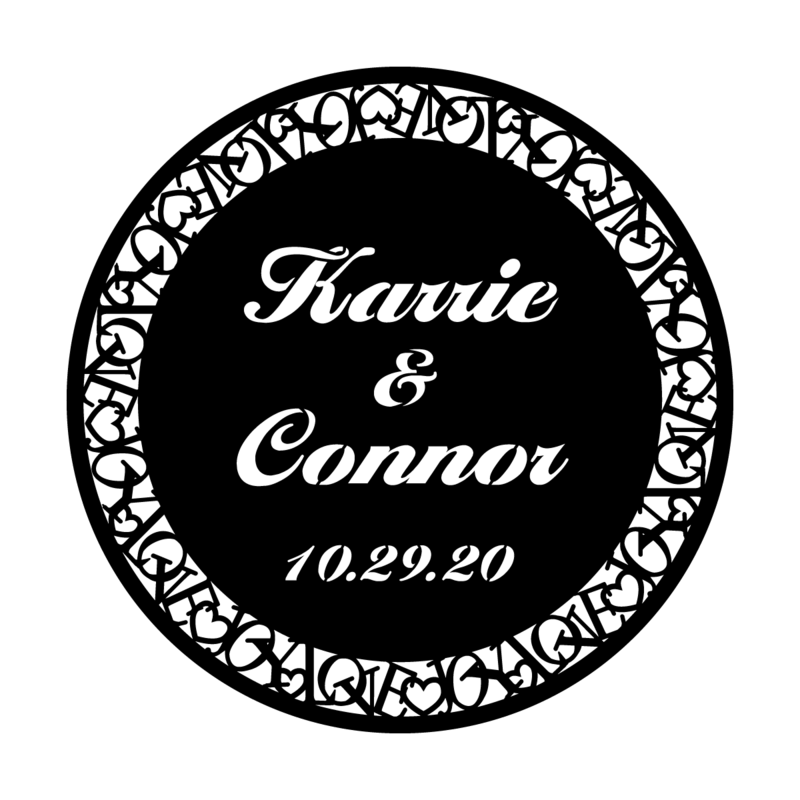 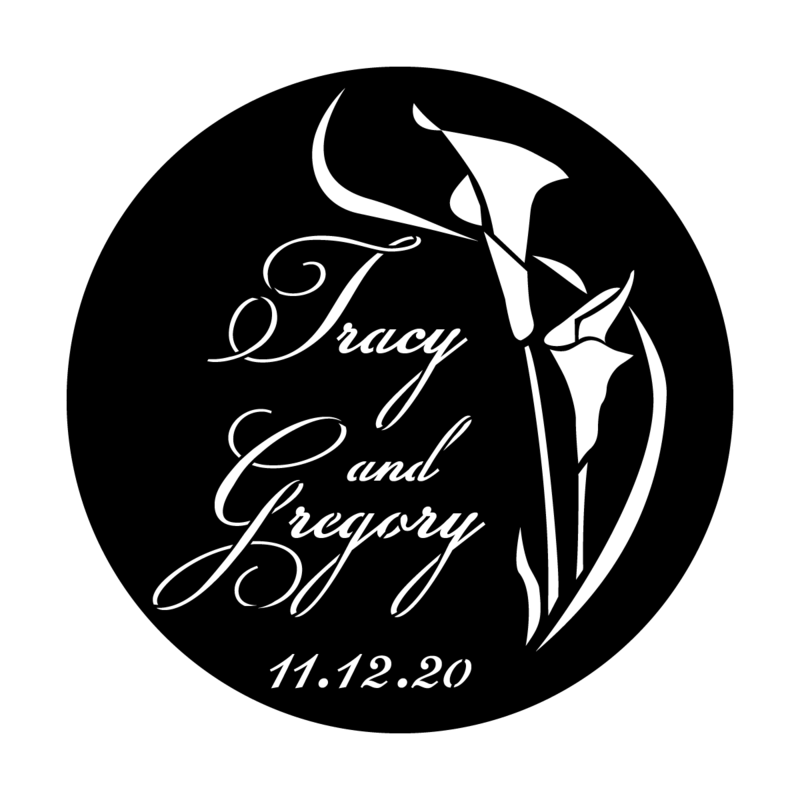 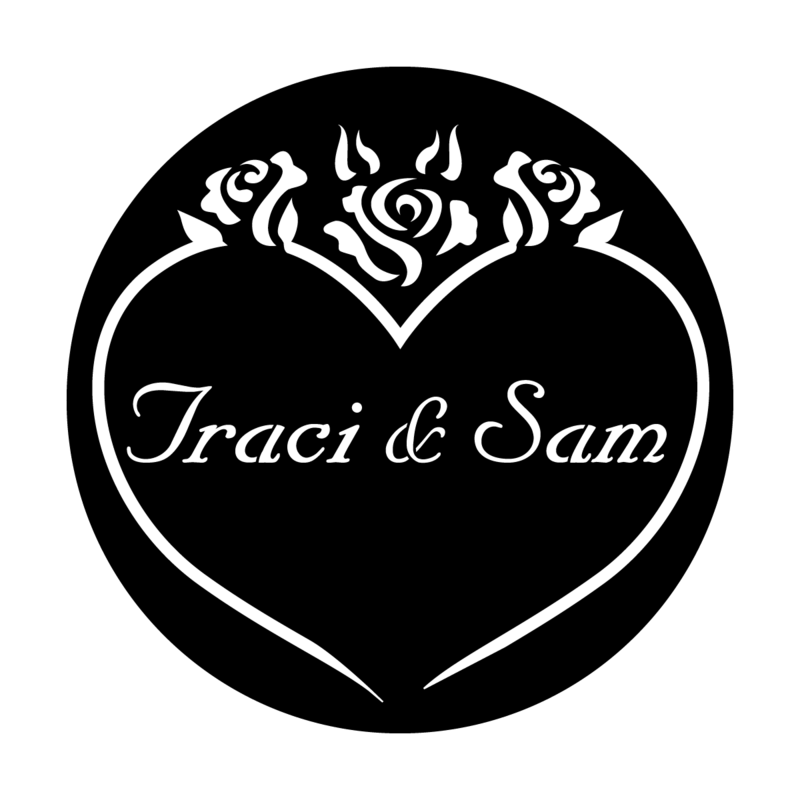 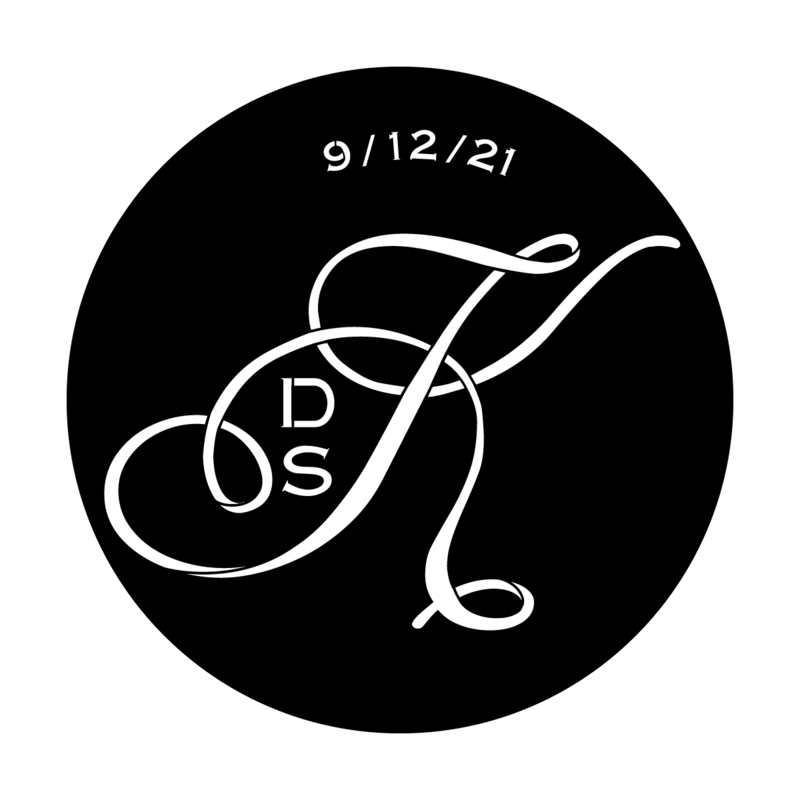 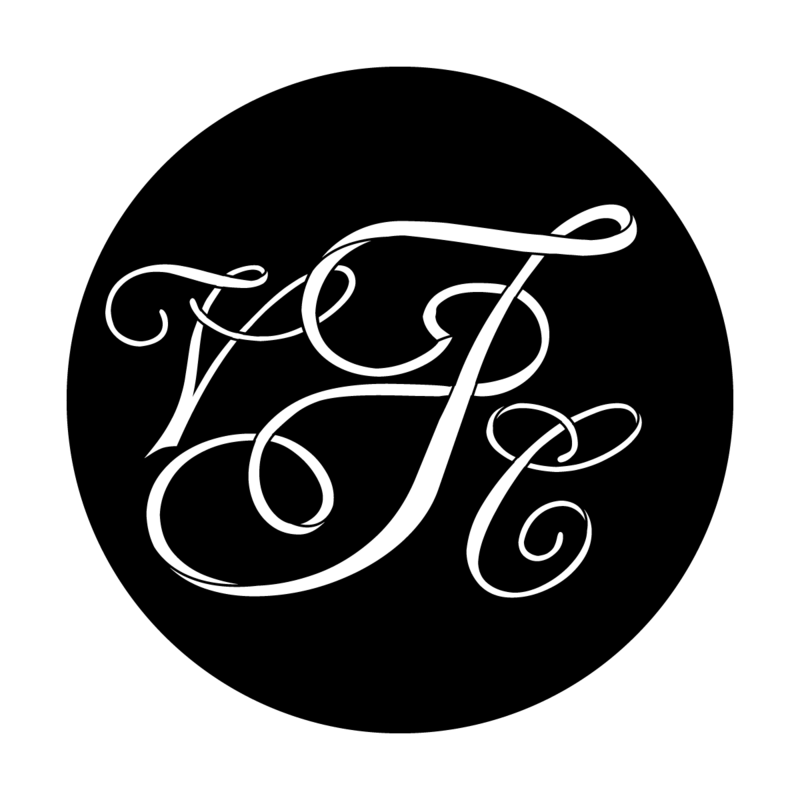 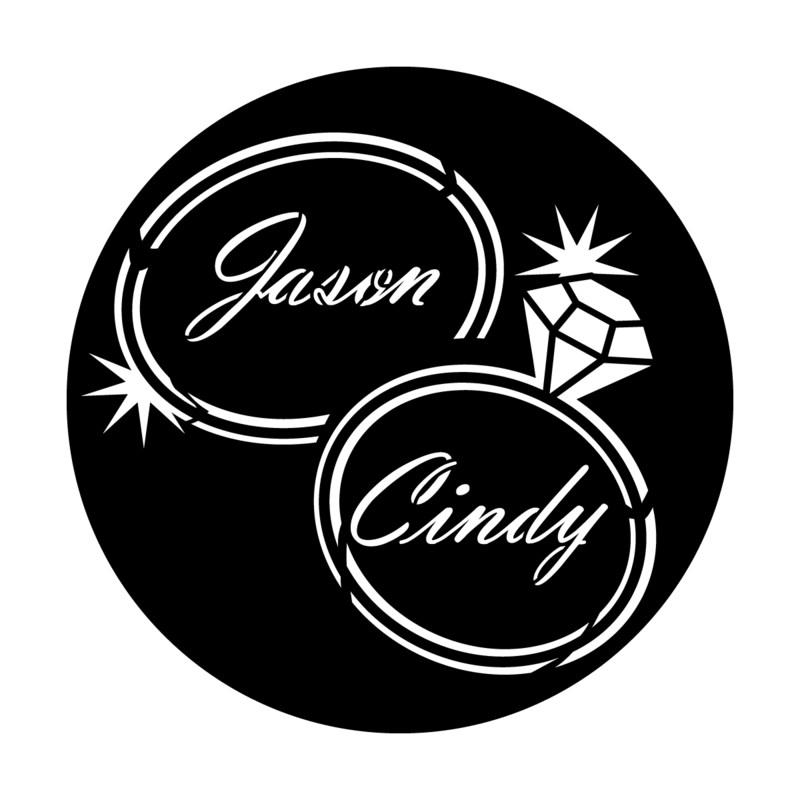 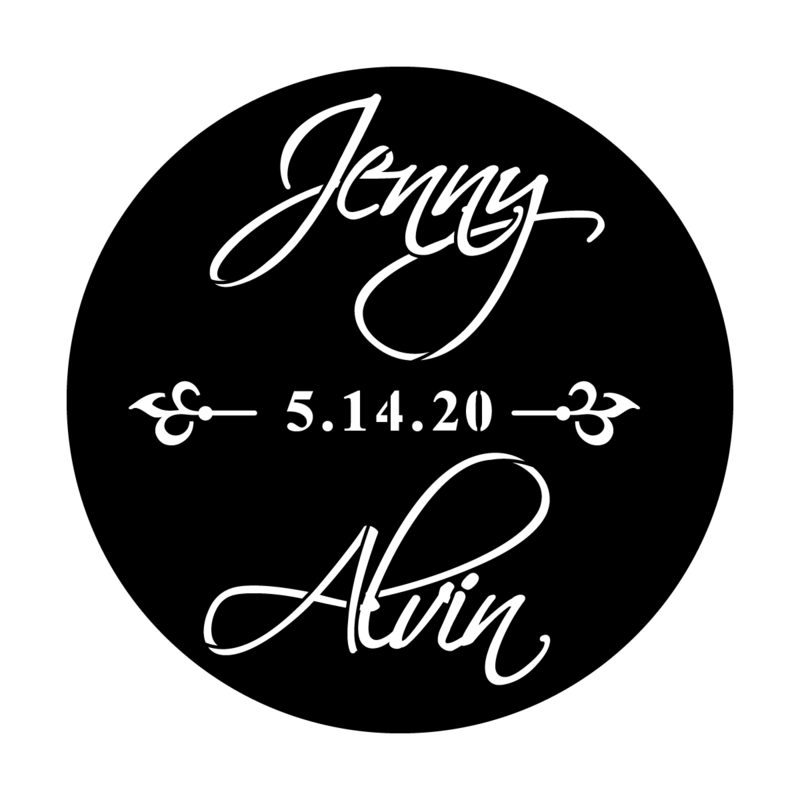 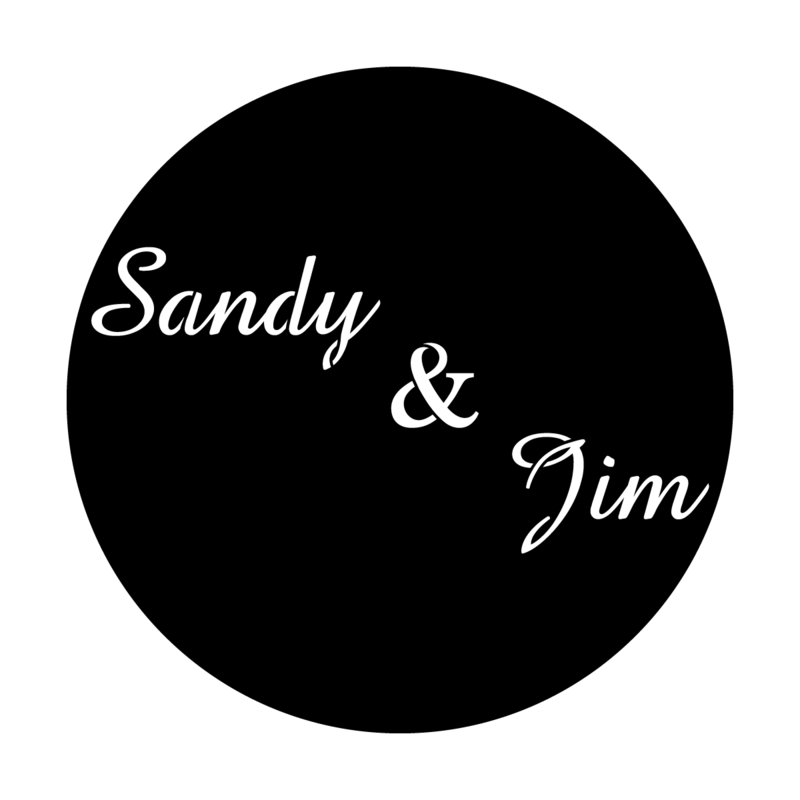 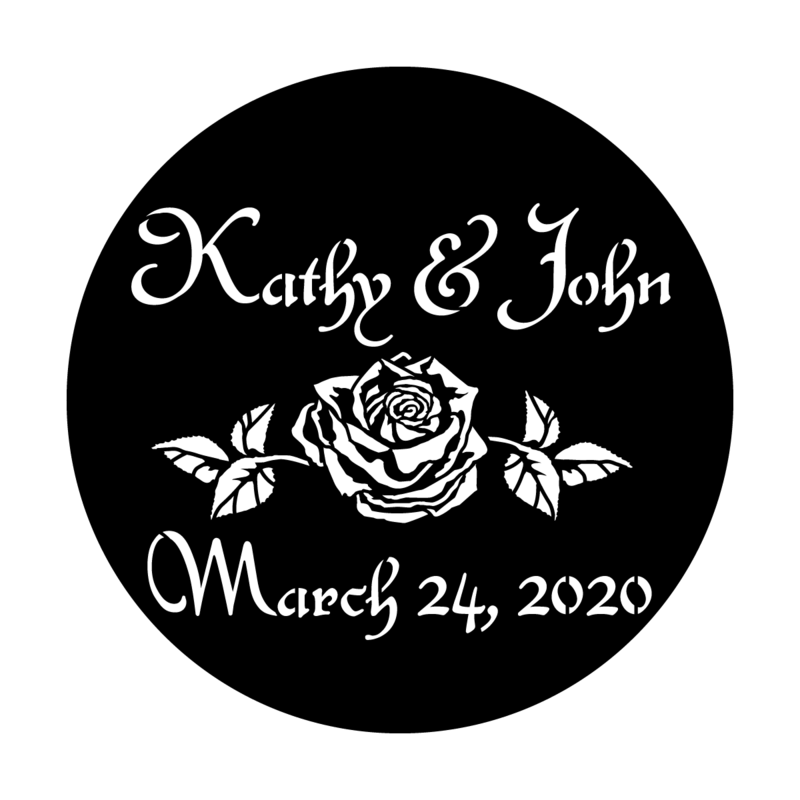 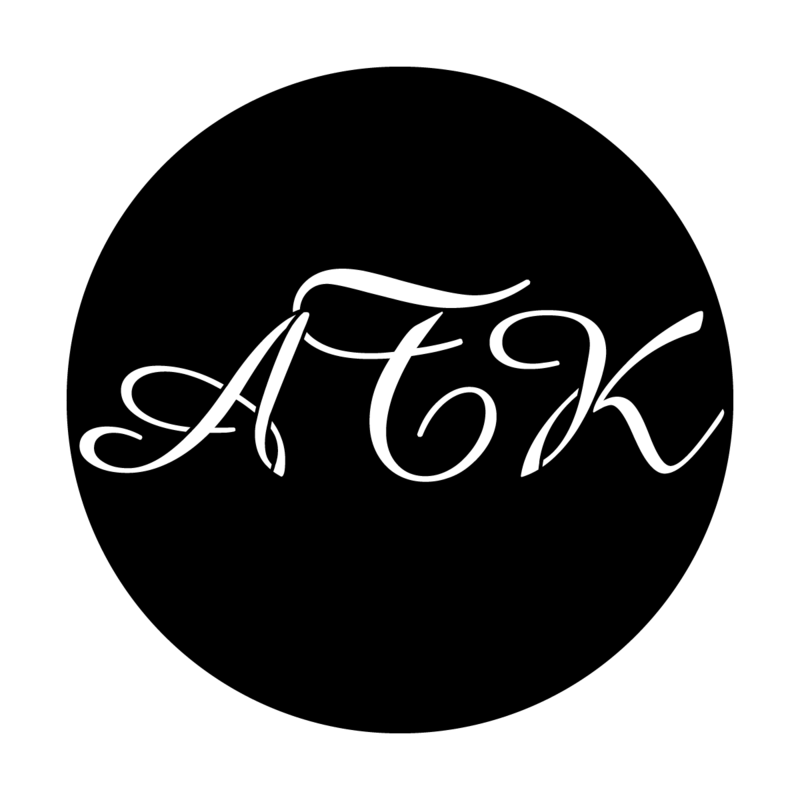 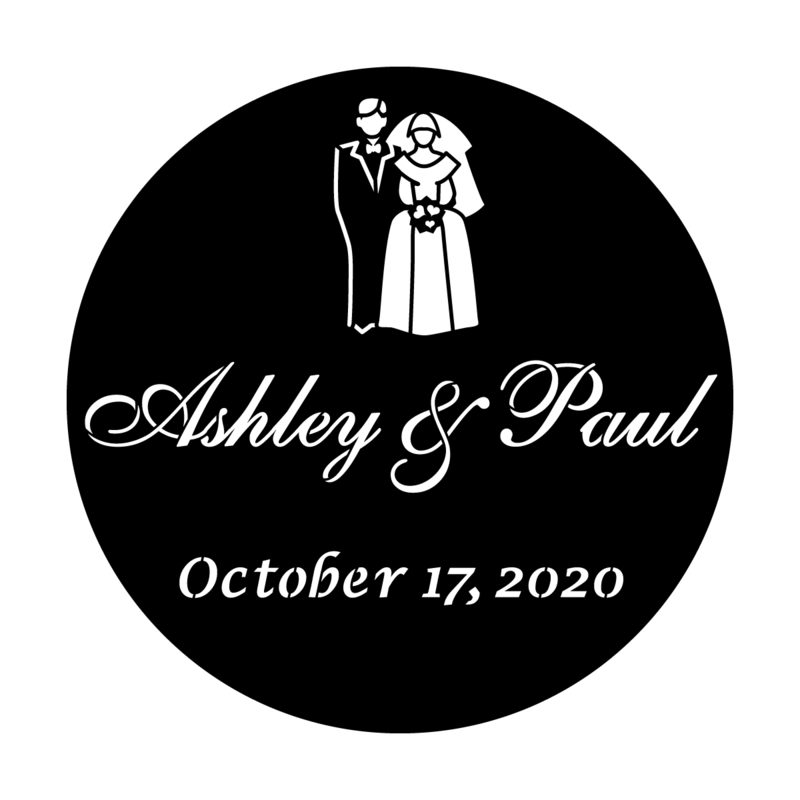 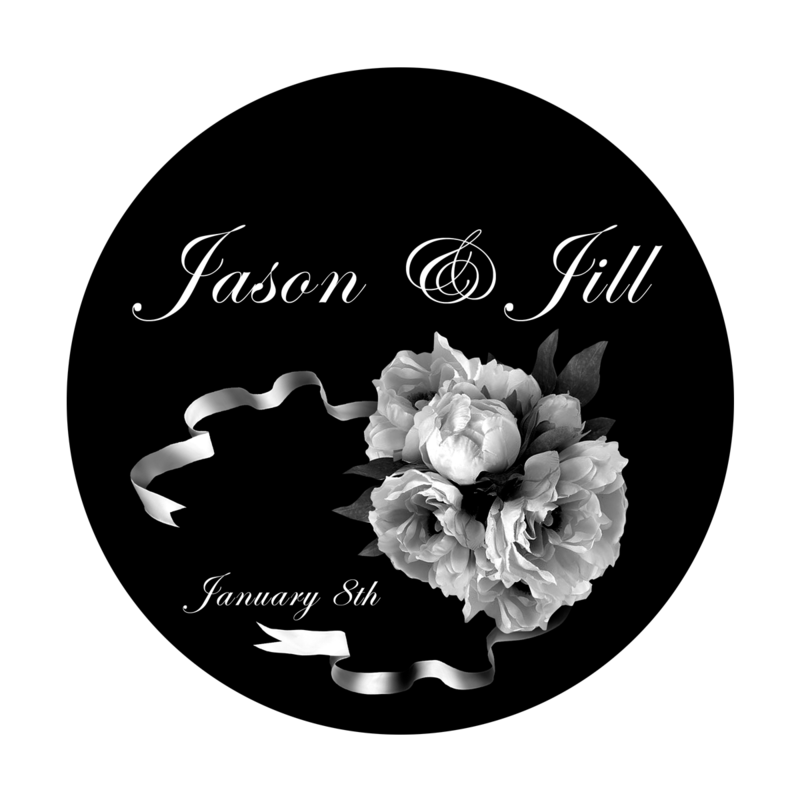 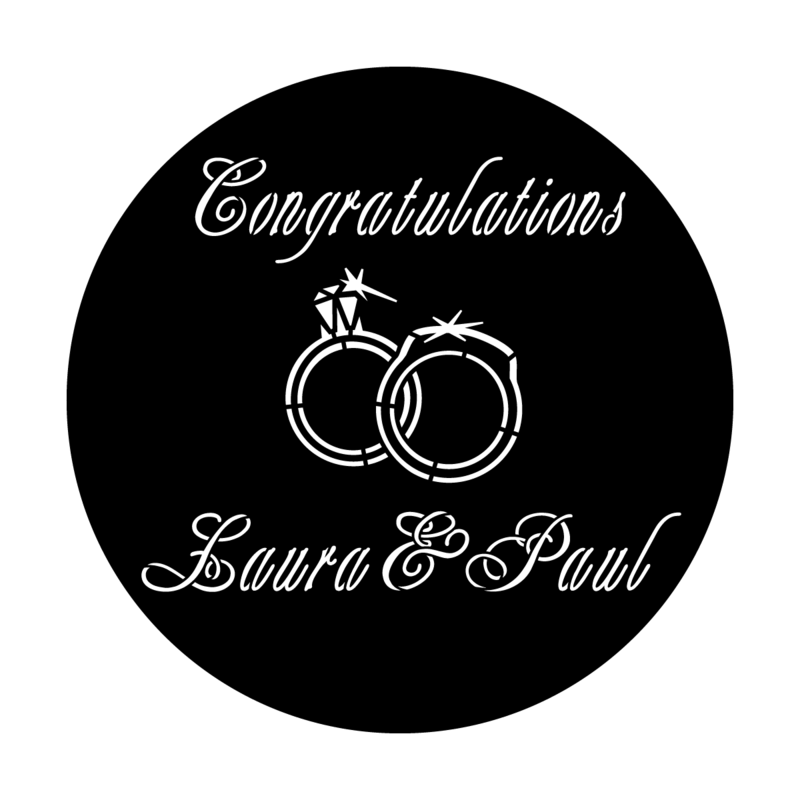 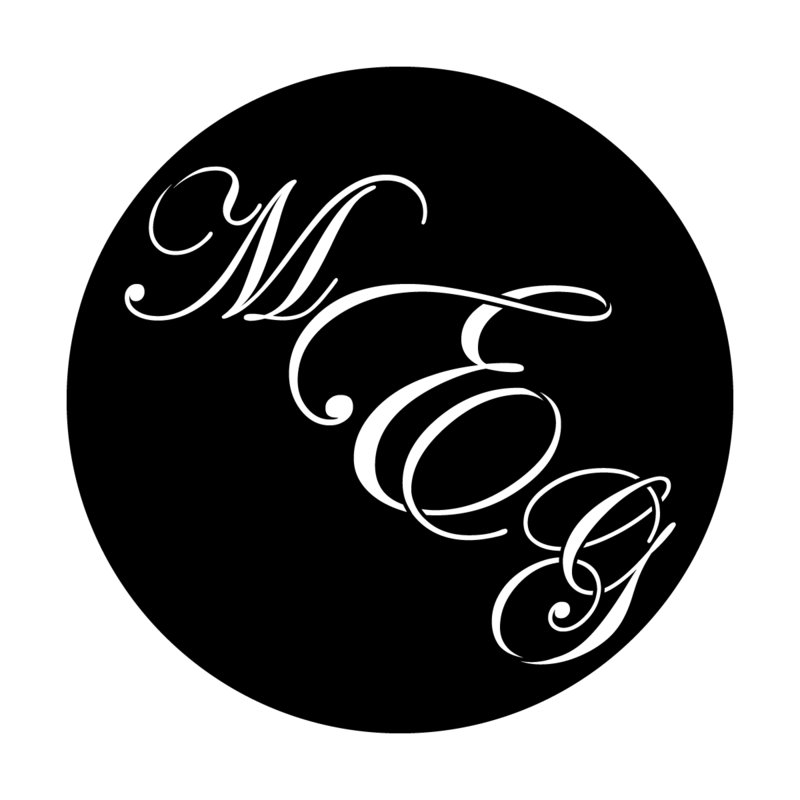 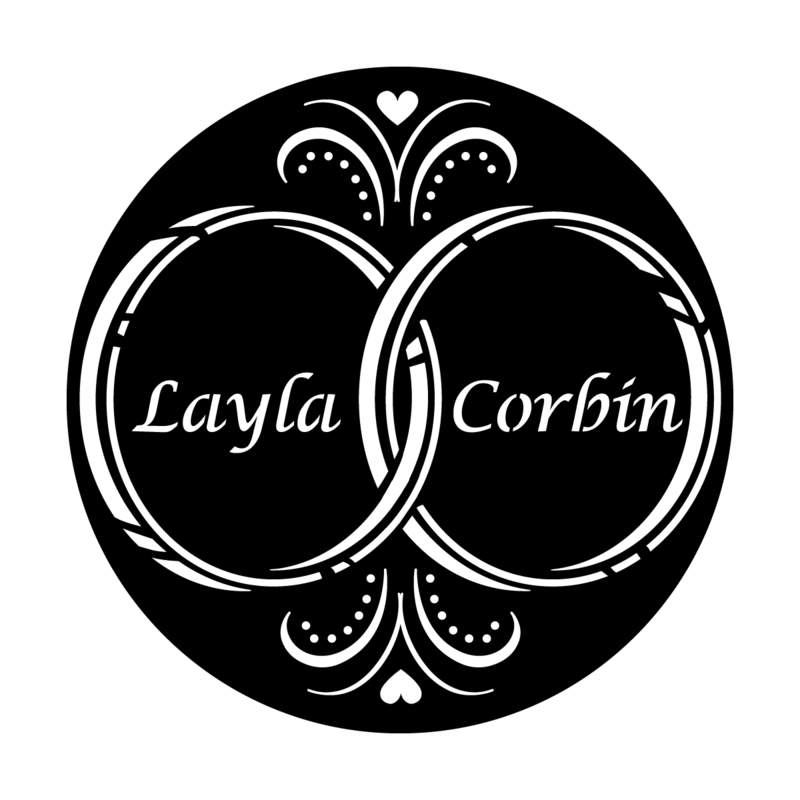 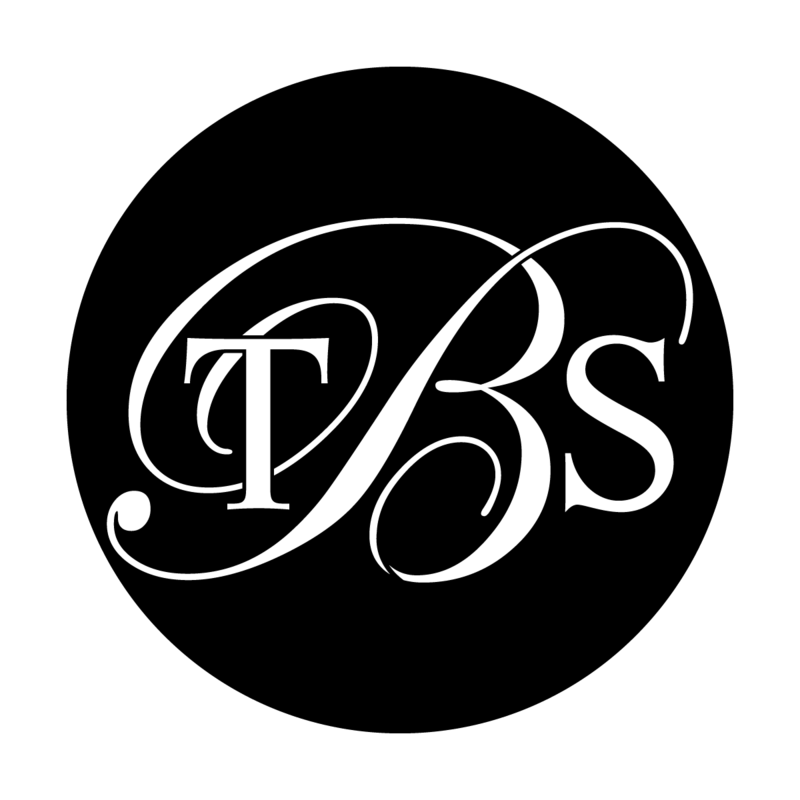 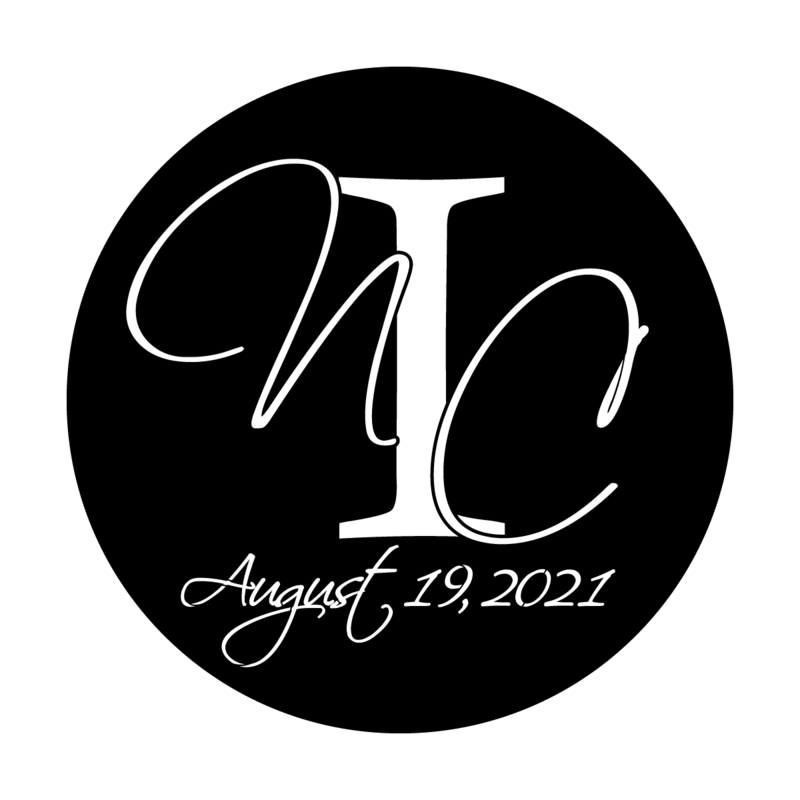 Or, if you would like to browse our templates and make a custom wedding gobo from your computer follow the instuctions below. 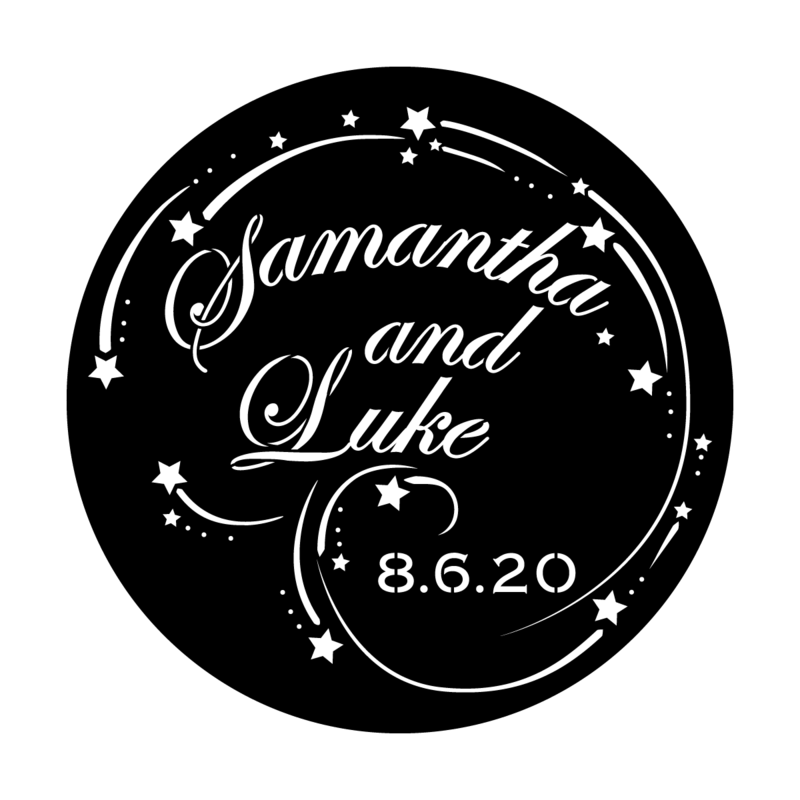 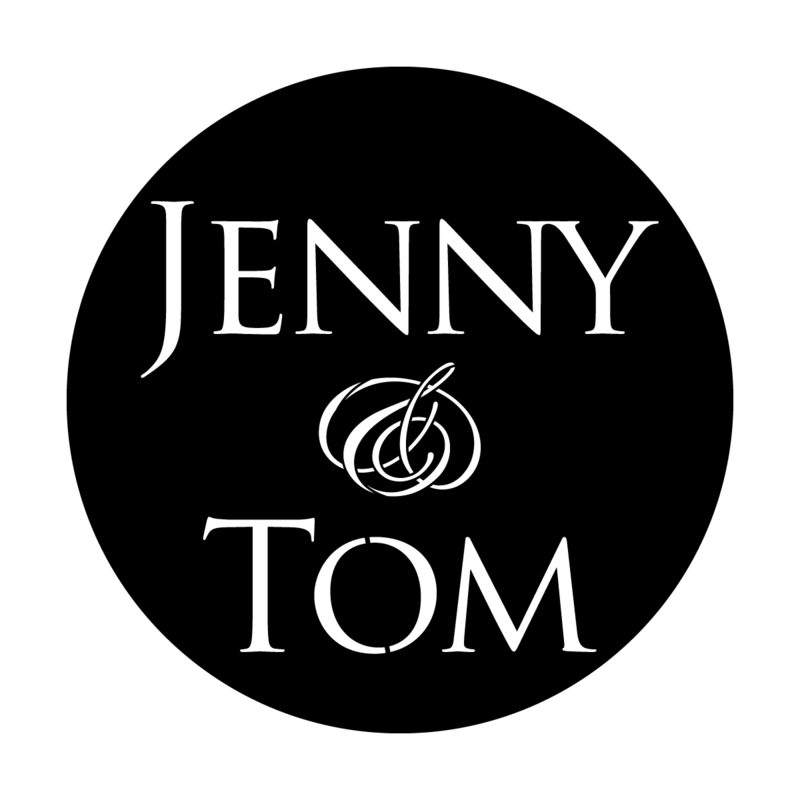 Creating a custom wedding gobo is easy either way. 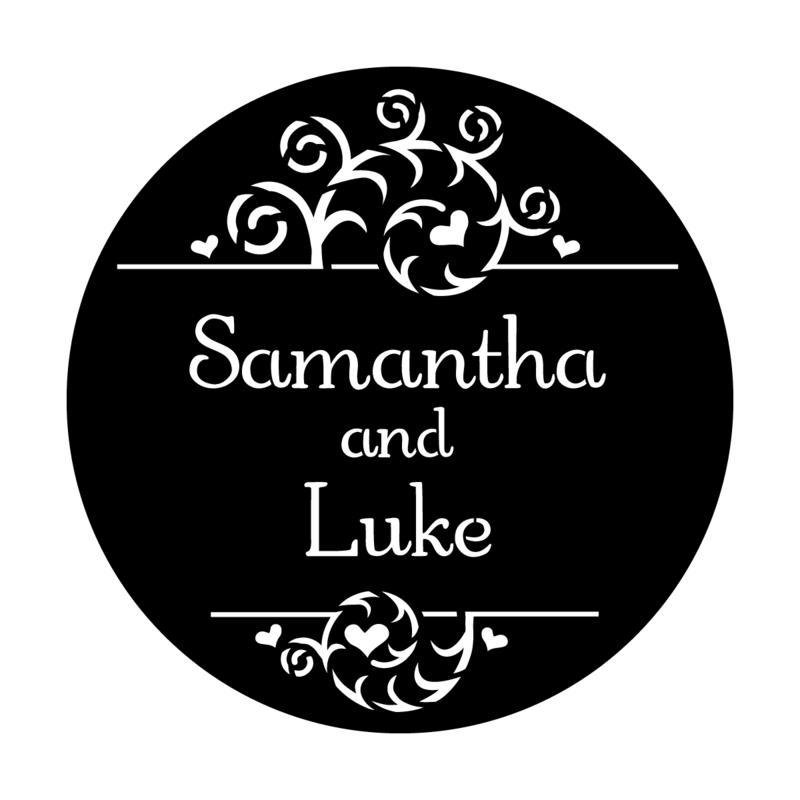 Remember you can mix and match any of the icons and fonts below to create your own personal design. 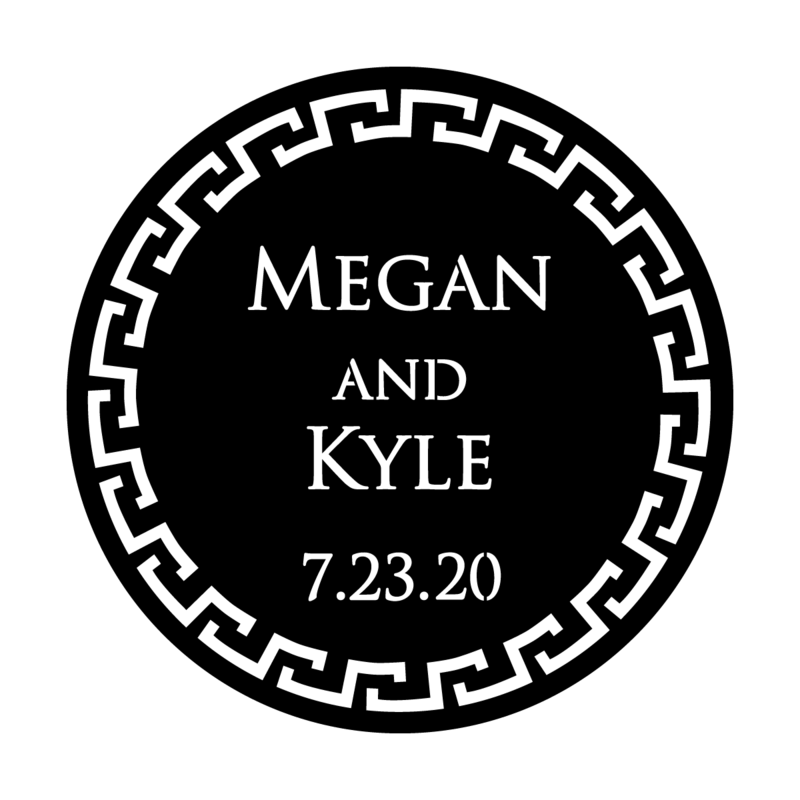 In order to project your gobo design, you will need a gobo projector / lighting fixture. 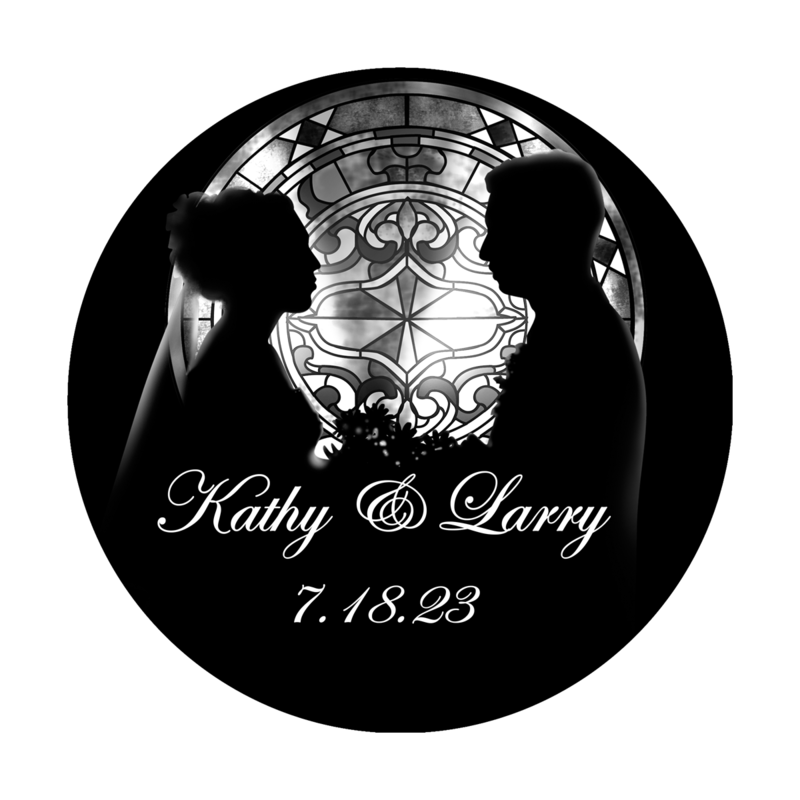 There are hundreds of different lighting fixtures. 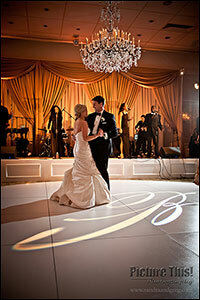 The size of your gobo is dependent on the lighting fixture being used. 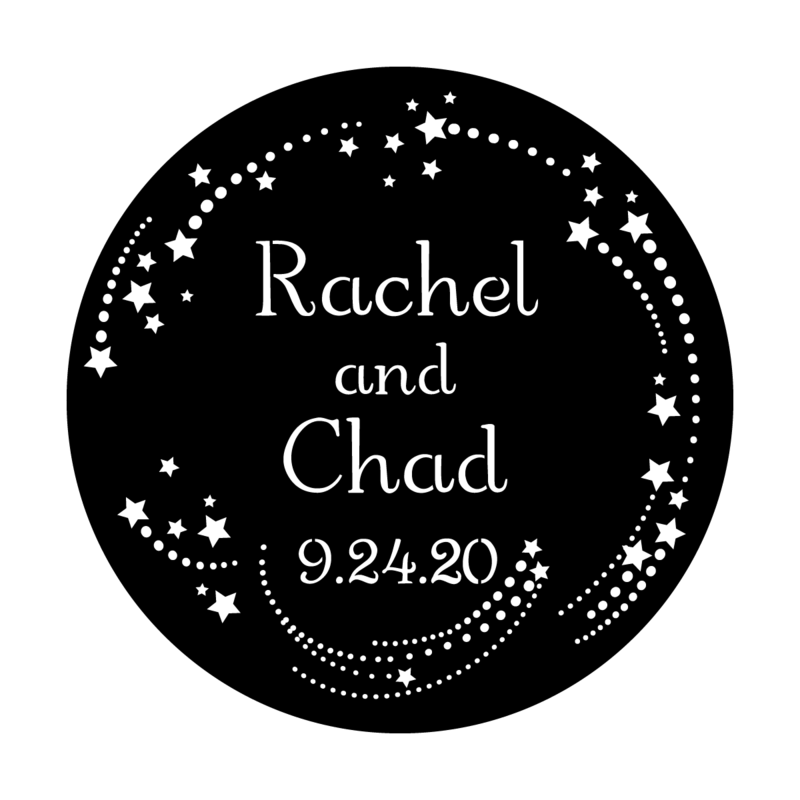 Typically, the venue, event coordinator, DJ or lighting designer provides the lighting fixtures. 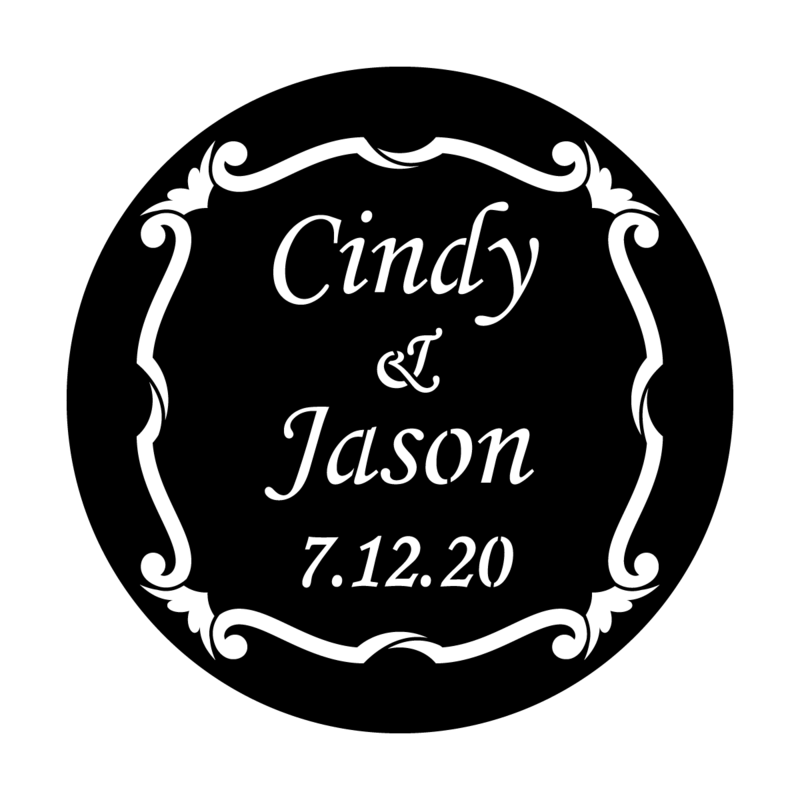 Ask them to provide the name and model of the fixture. 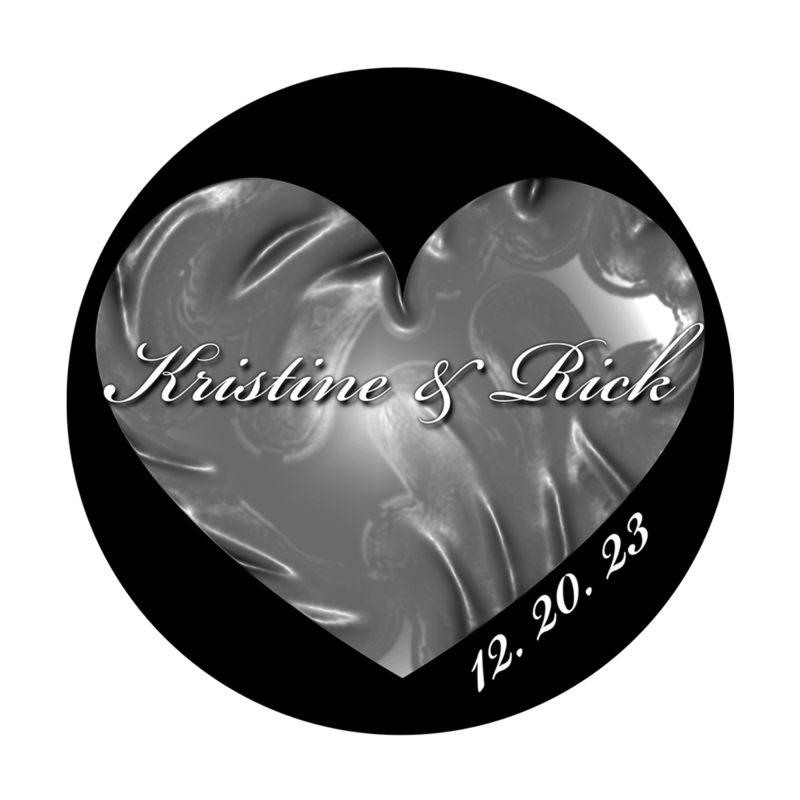 The design is laser cut out of 8 mil stainless steel allowing light to shine through and project a white pattern on the surface. 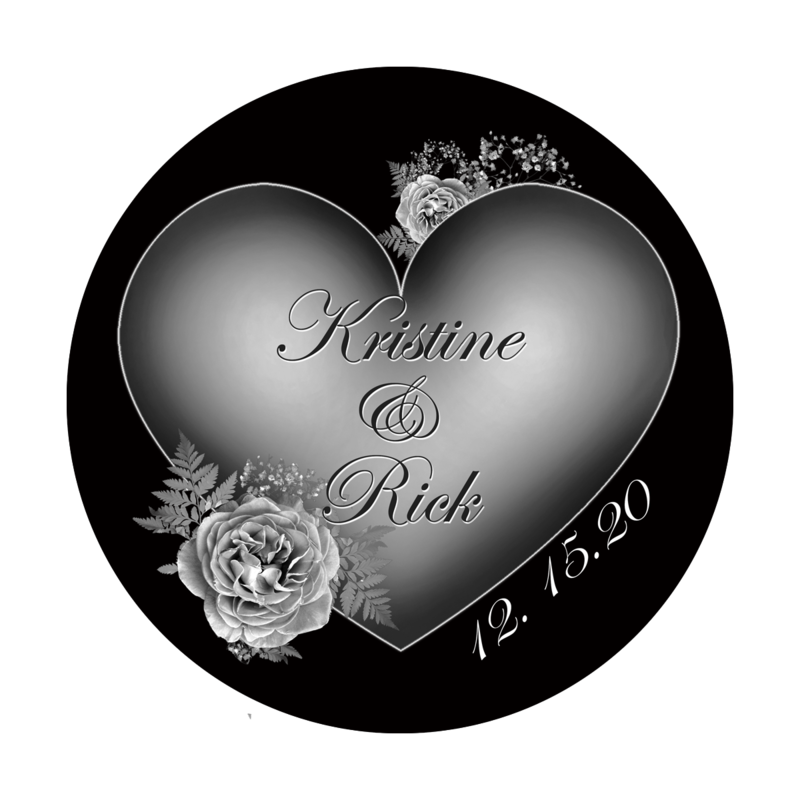 A color filter can be added to the fixture if color is desired. 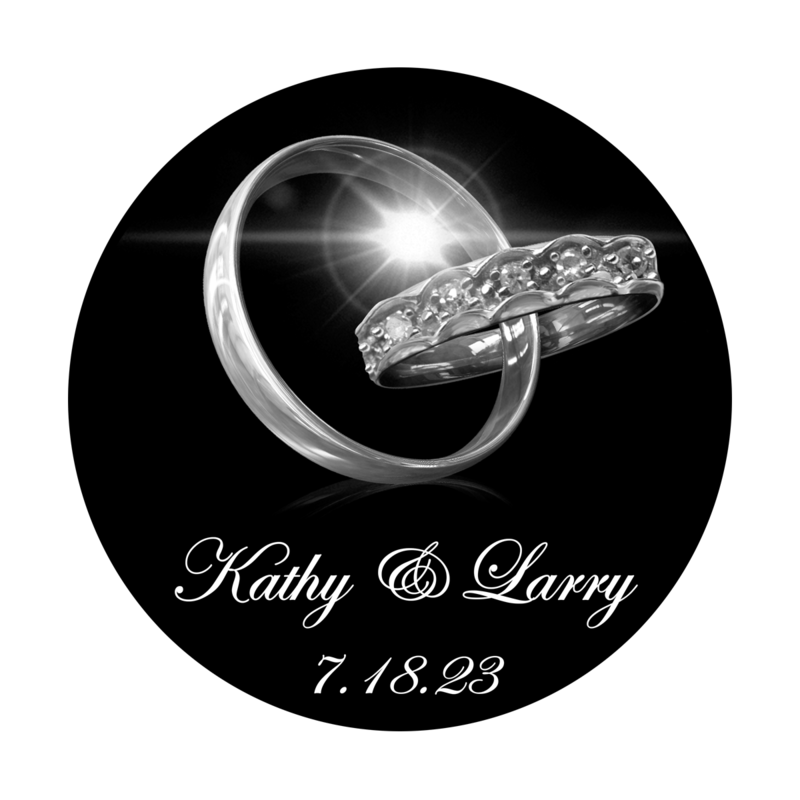 All metal designs can be ordered as SuperResolution® glass. 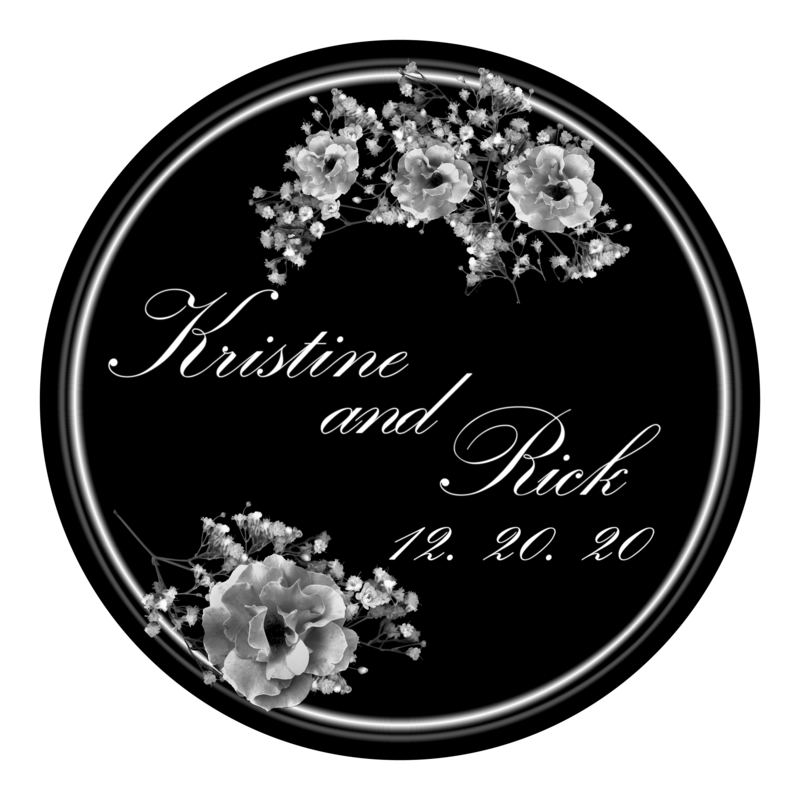 A glass gobo that projects black & white or grayscale photographs or graphics with intricate detail. 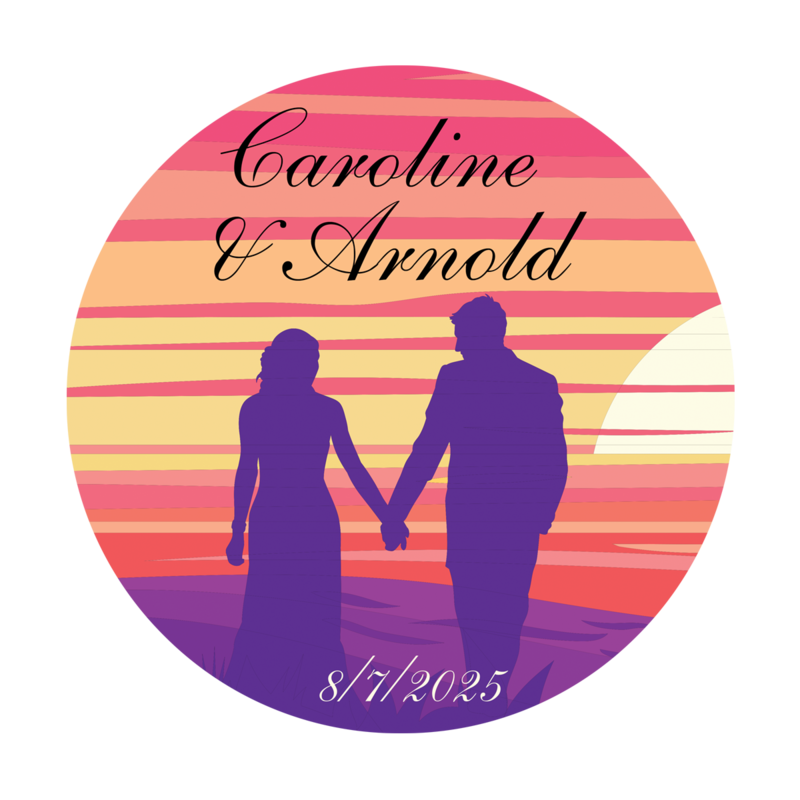 This glass gobo projects full color, specific colors or gradients of color with intricate detail.